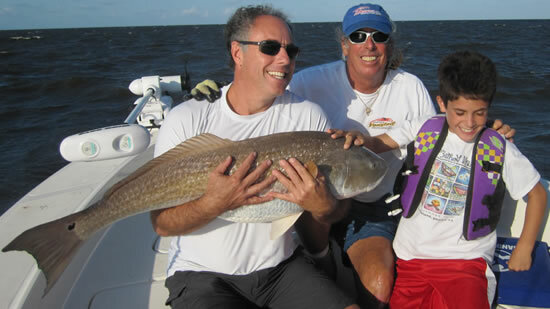 SALTWATER FISHING AT IT'S BEST! 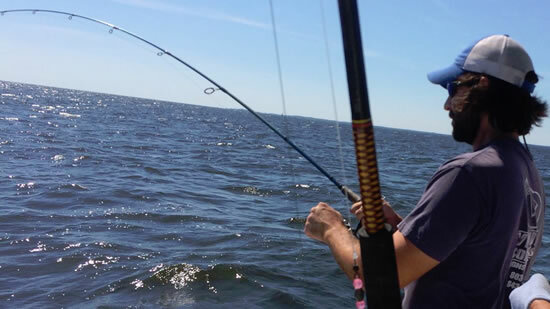 All set for our favorite month of the year.... we'll be fishing the Pamlico Sound out of Paradise Cove Marina and Campground for the third year starting August 15th and running through September 15th. 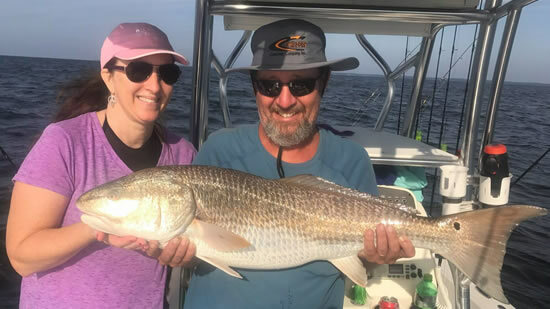 It's a big job to pick up and move camper, boat, and equipment for just a month, but the fishing demands we make the move. 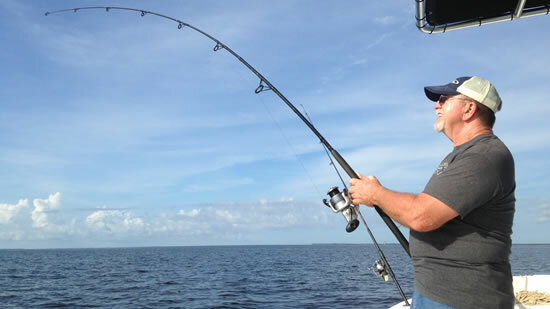 Our job here at Captain Ponytail Guide Service is to put our loyal customers at the premiere fishing destinations when they are at their hottest. 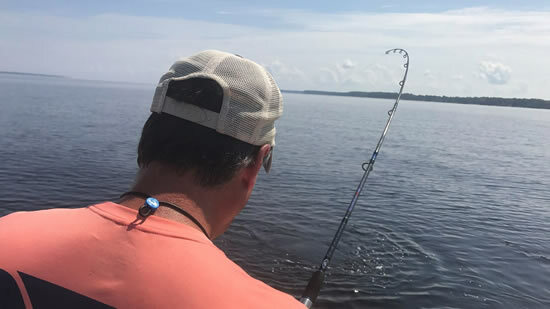 Leaving the Pamlico out of the rotation would be a disservice to our friends and customers.... and by the way, I don't ever want to miss it myself. 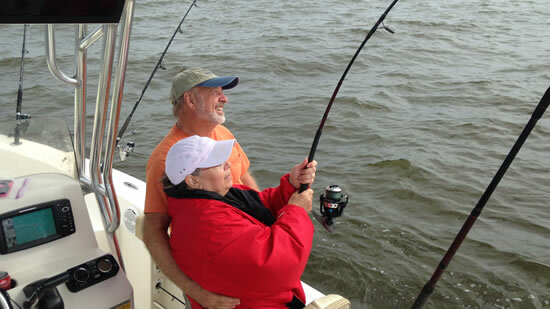 We're just ten miles or so from the beautiful seaside village of Oriental, N.C. so I'd like to encourage all the wives and girlfriends to come along as well. 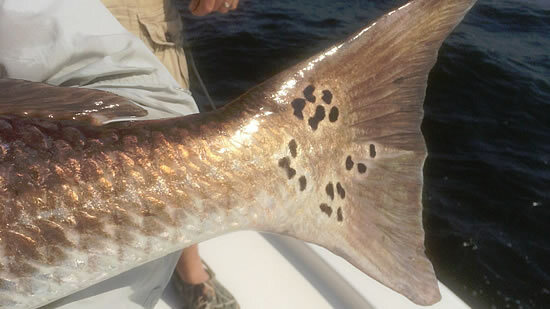 Oriental is 180 degrees from what we're leaving... Myrtle Beach. 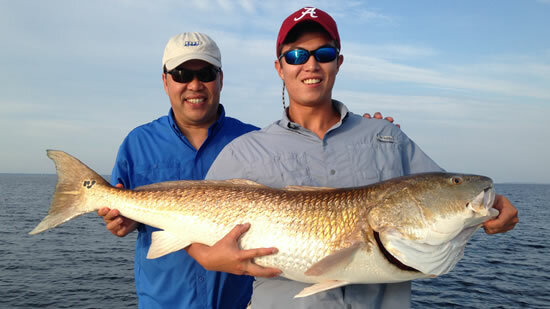 No roller coasters and big crowds in Oriental. 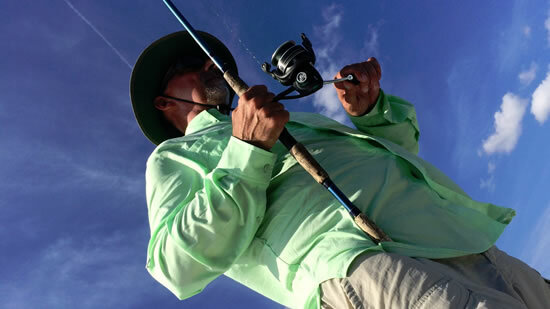 Everything moves at a little slower pace EXCEPT the fishing. 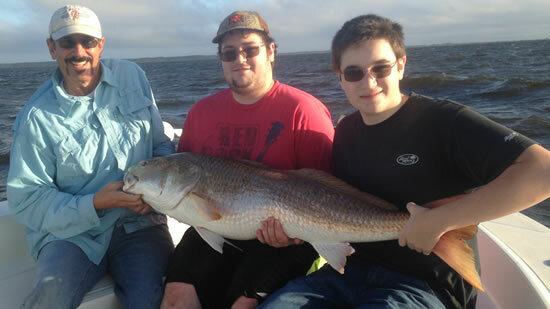 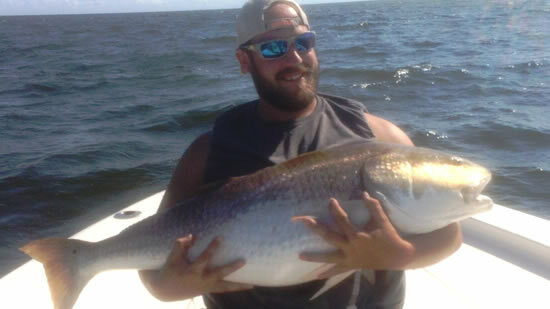 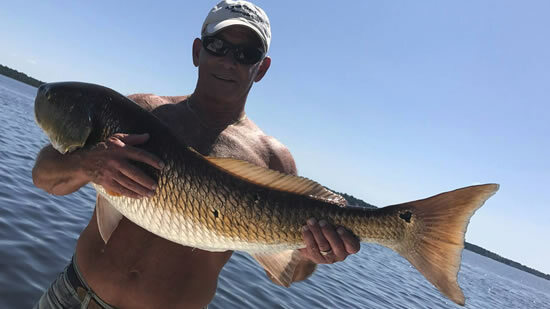 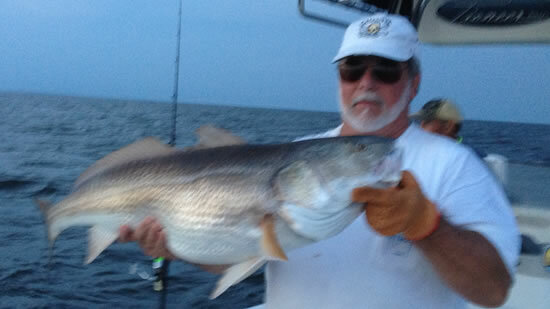 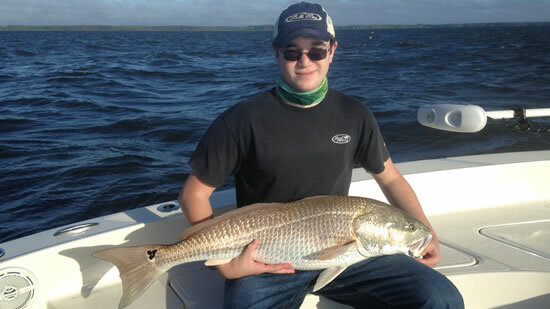 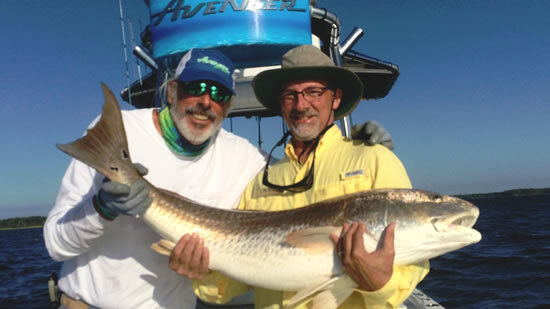 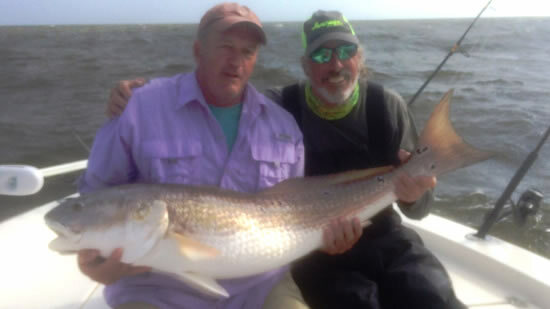 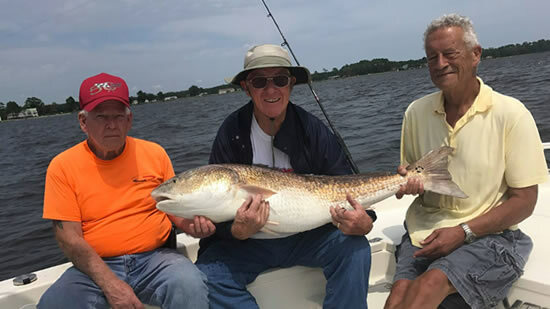 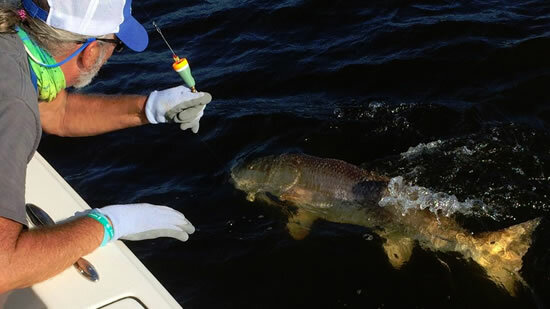 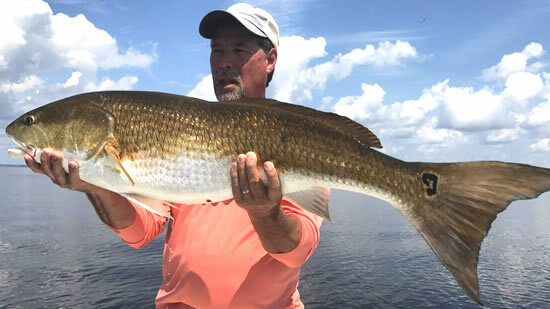 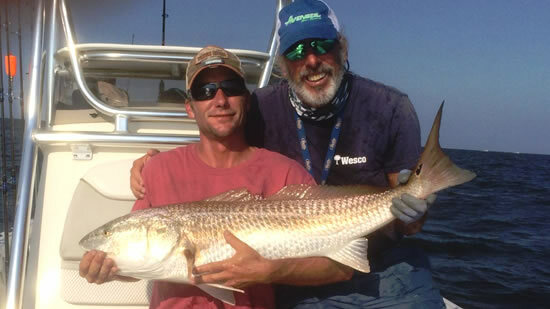 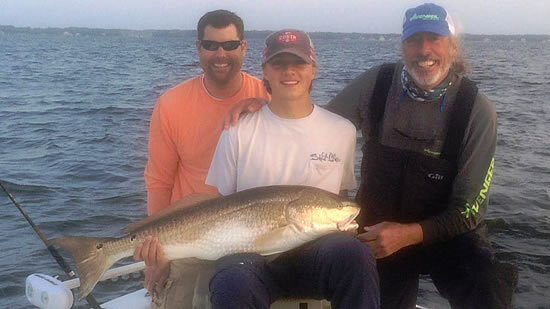 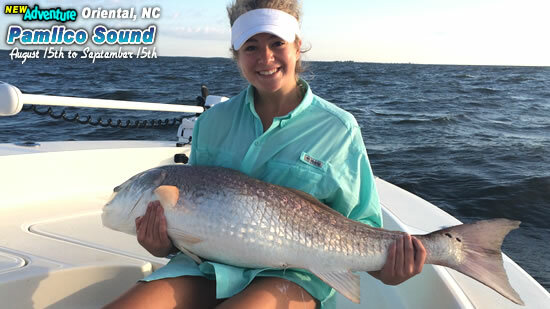 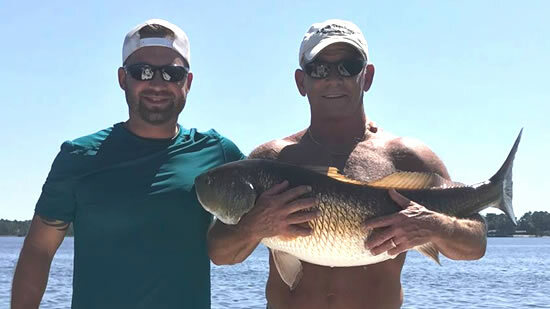 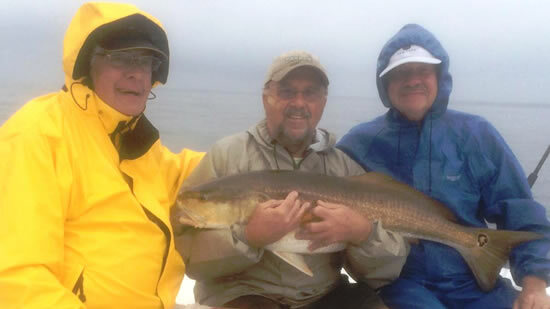 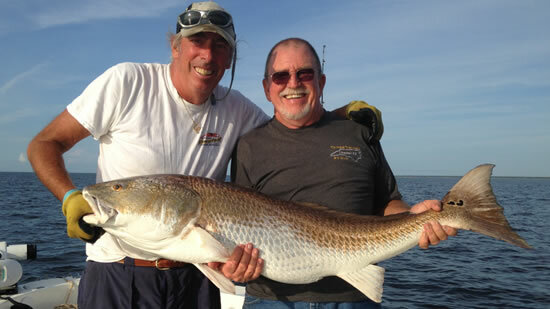 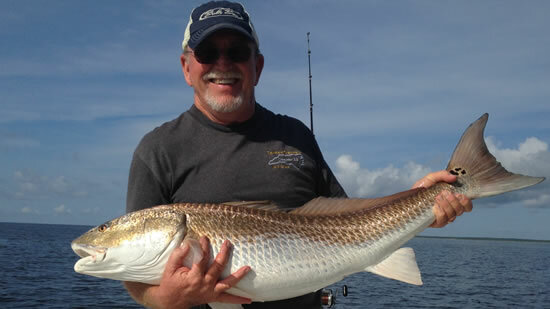 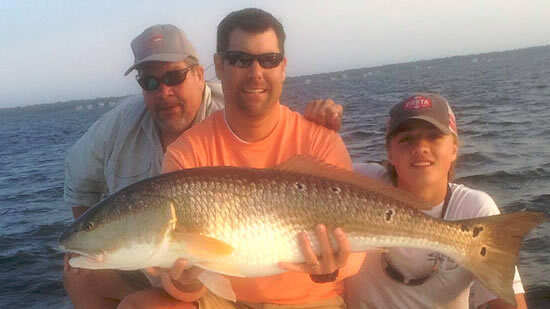 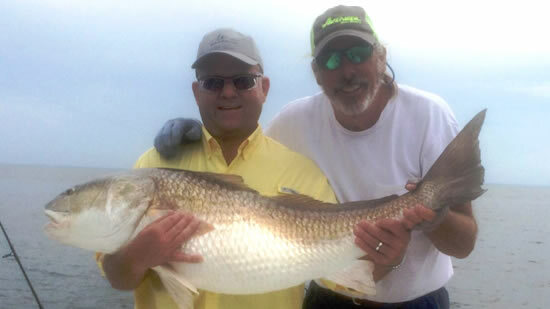 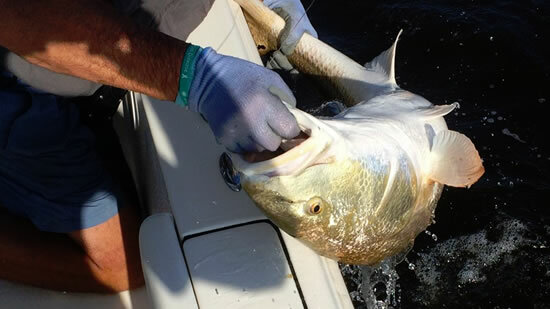 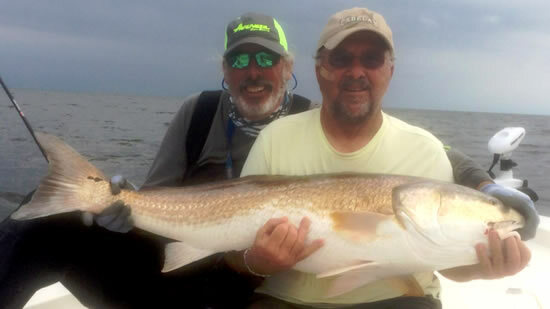 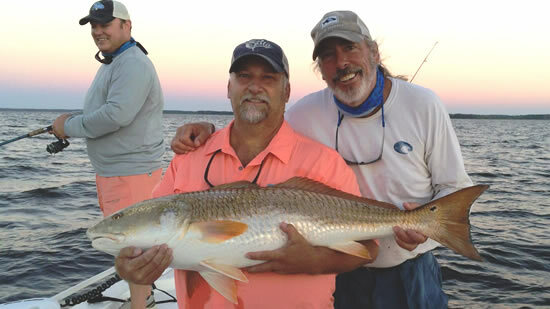 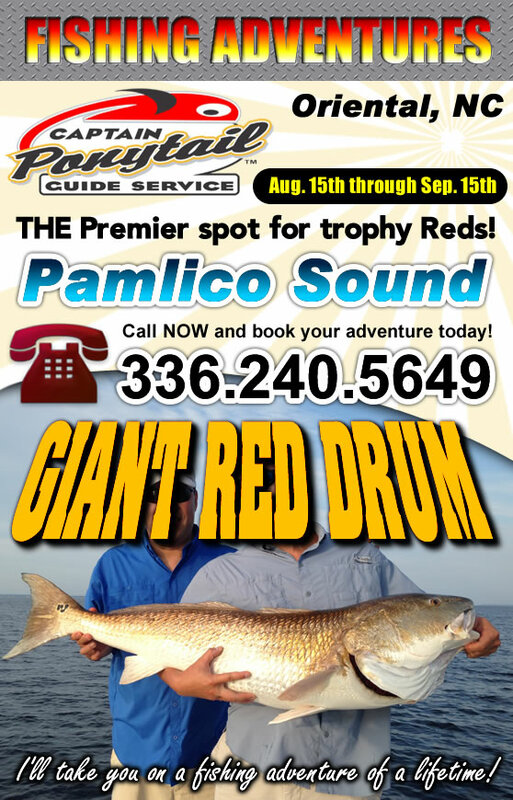 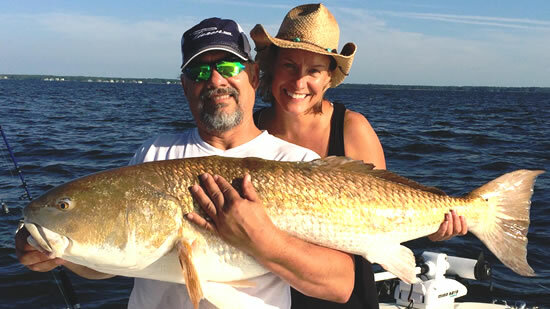 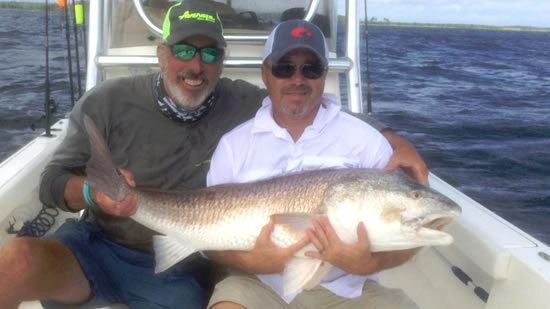 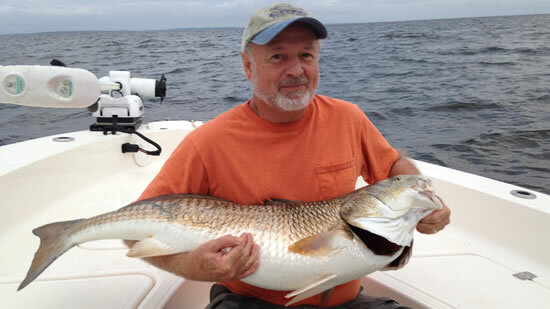 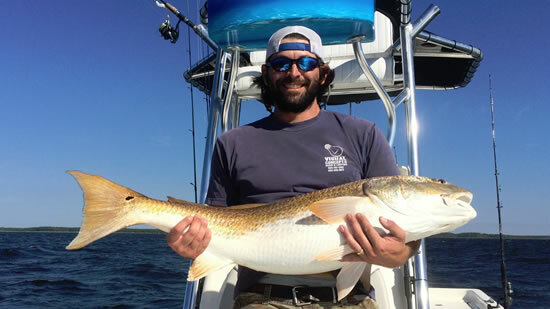 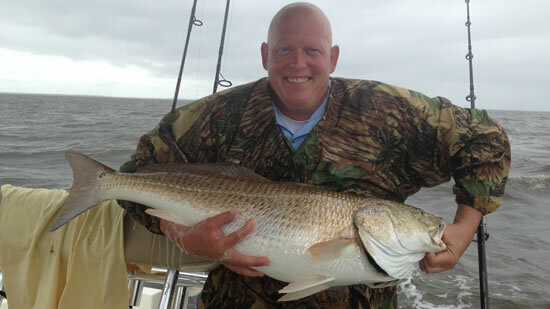 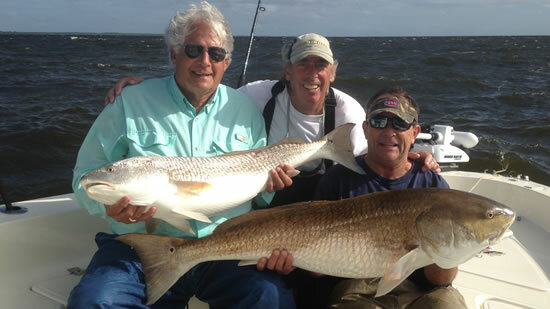 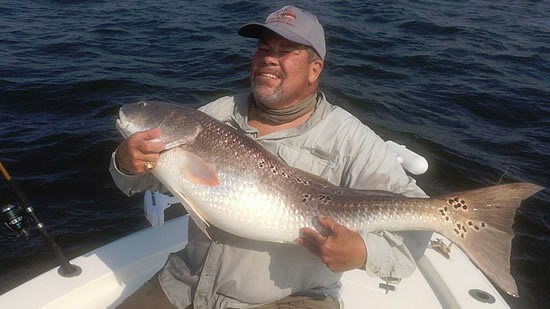 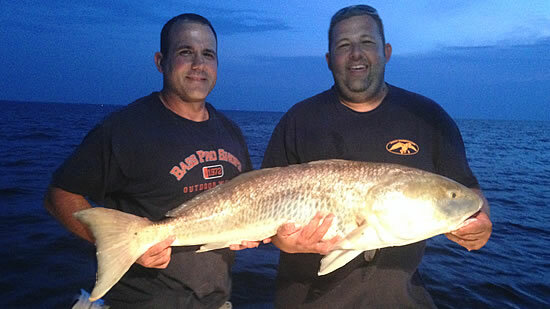 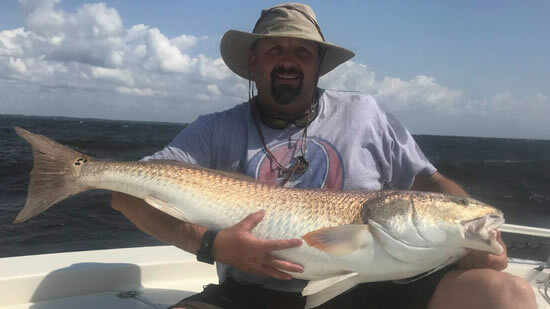 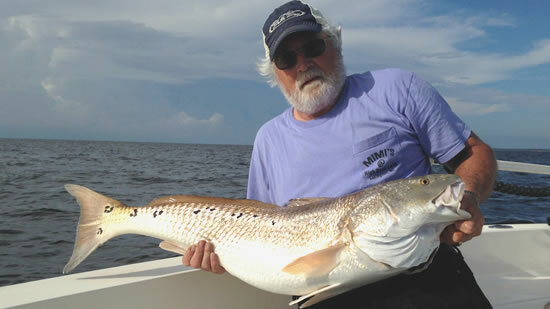 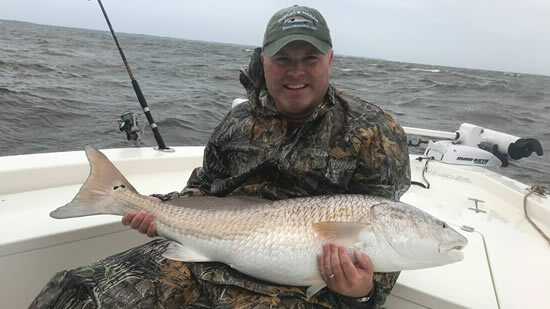 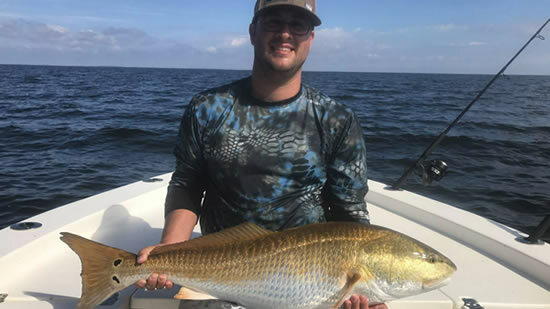 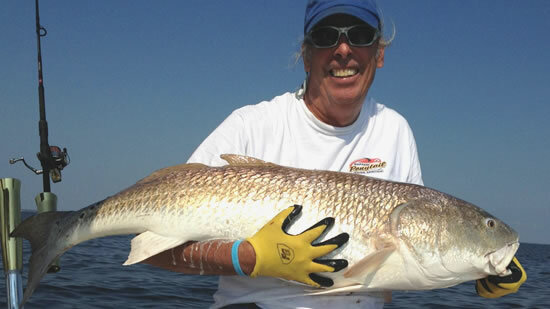 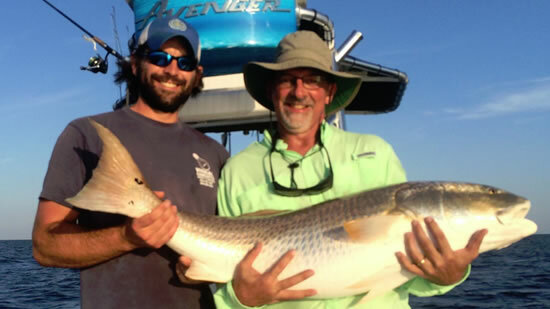 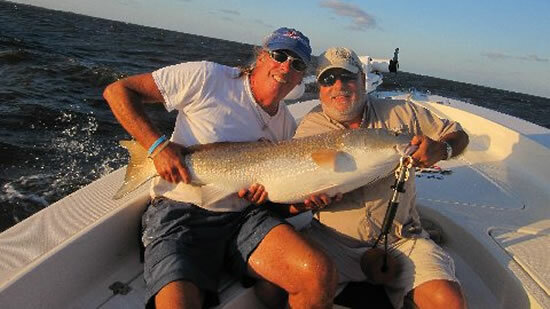 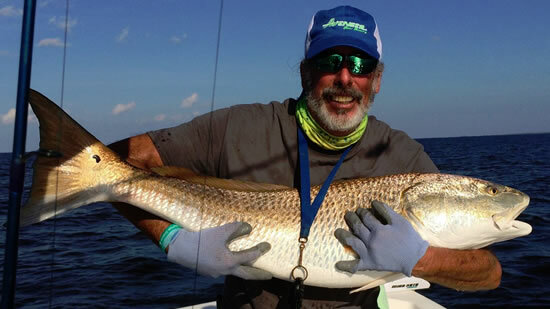 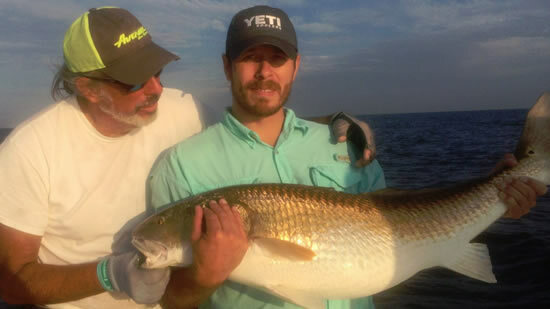 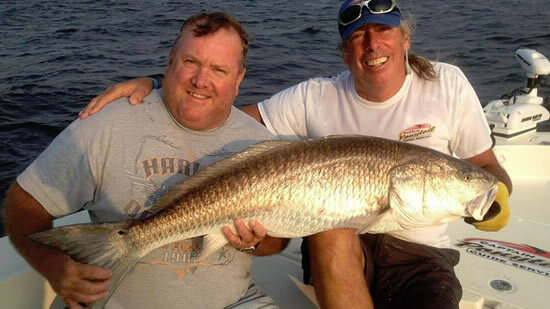 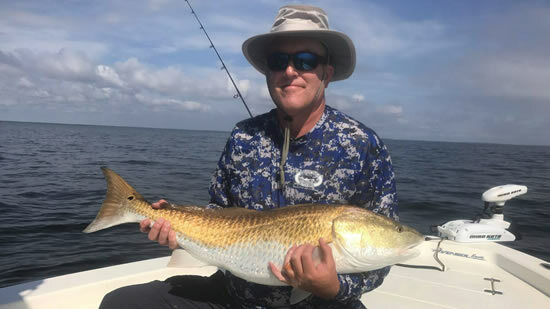 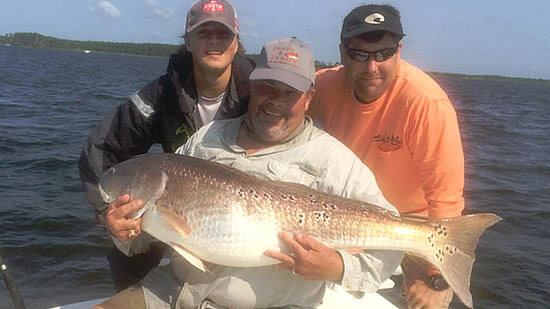 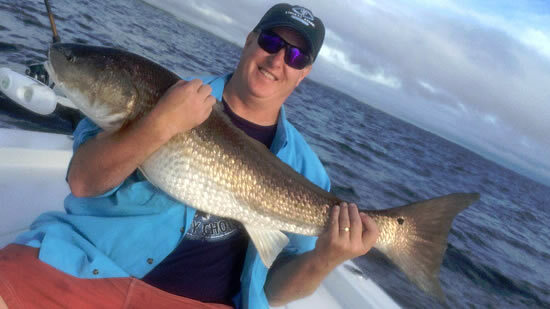 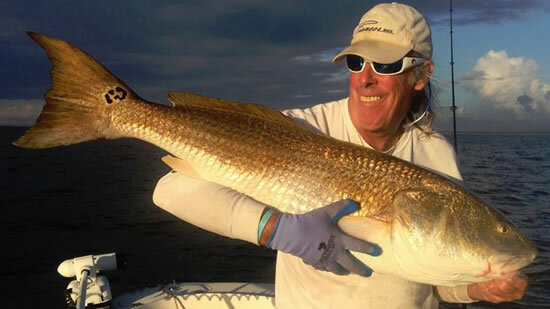 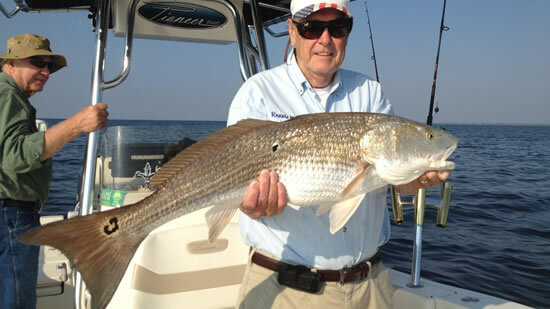 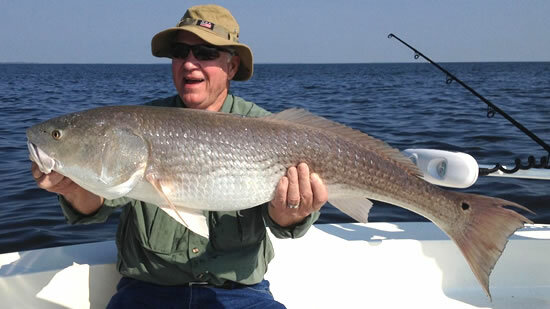 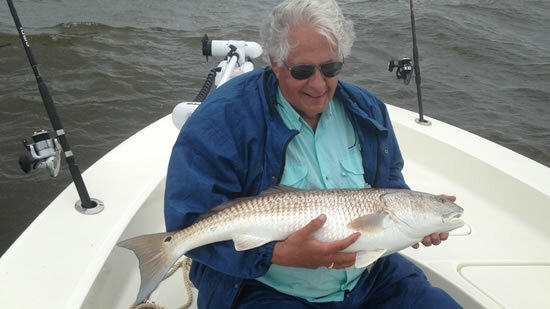 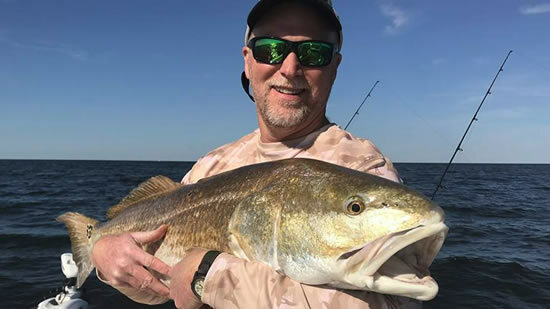 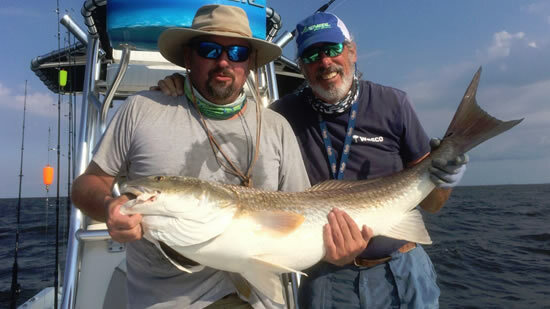 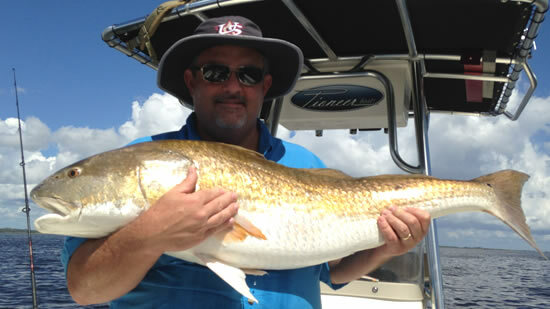 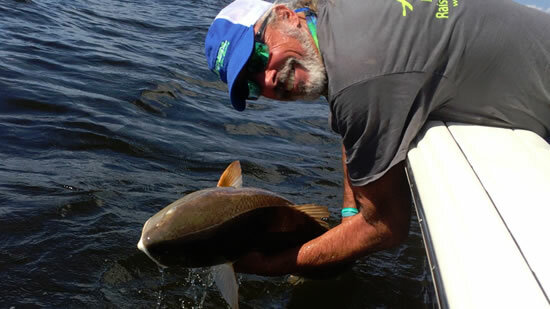 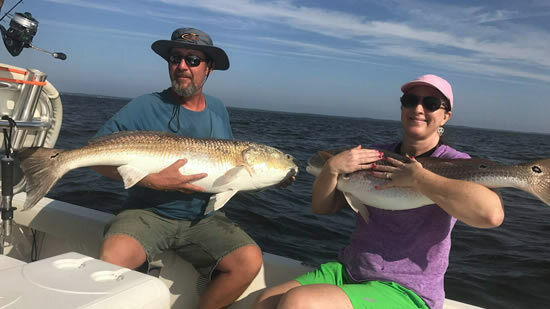 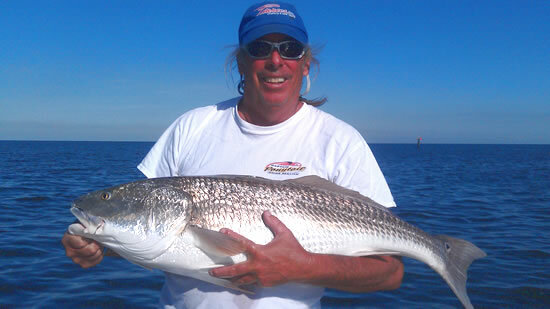 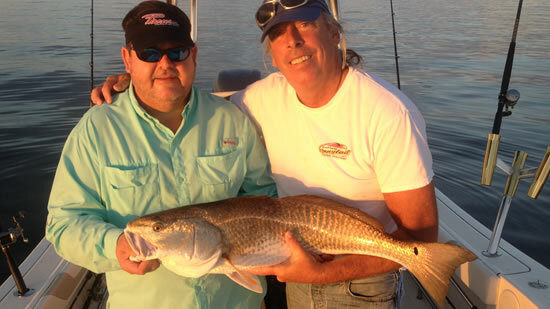 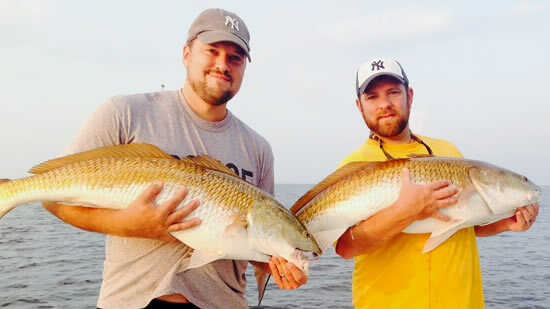 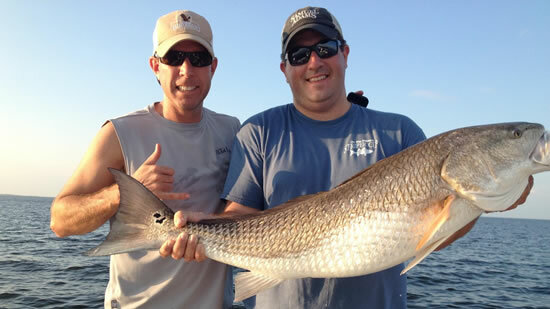 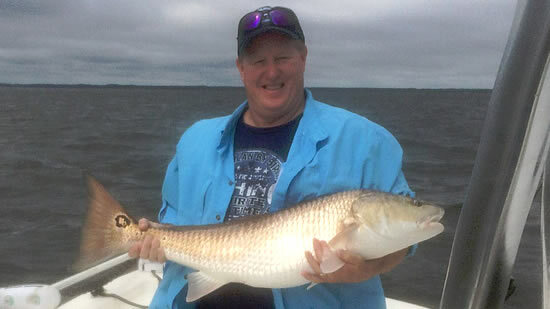 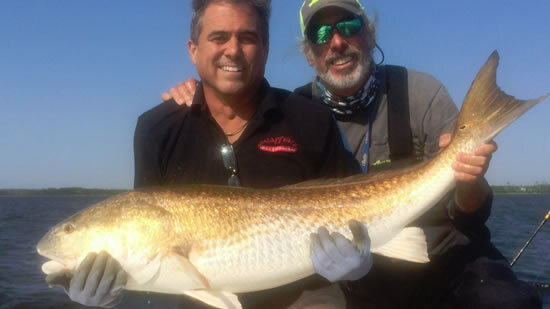 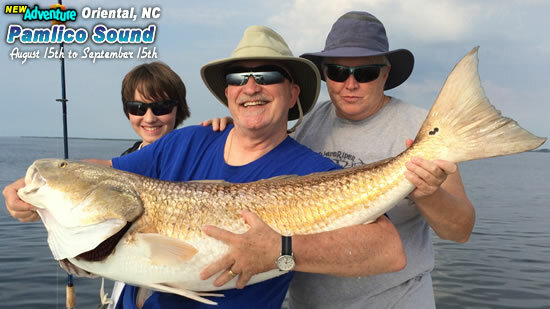 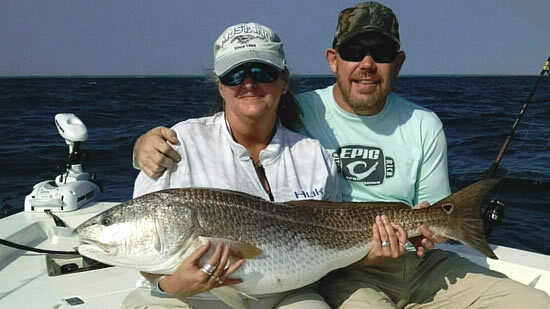 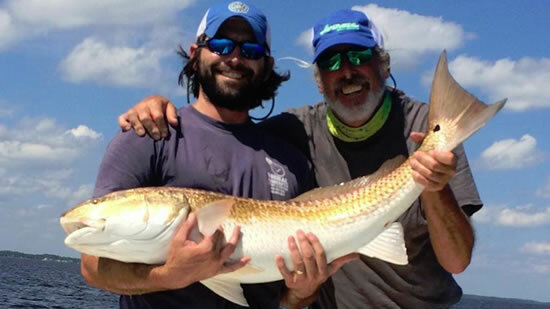 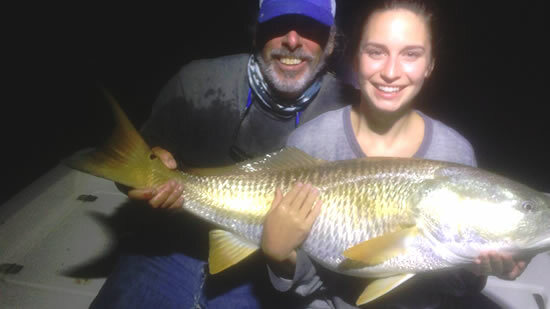 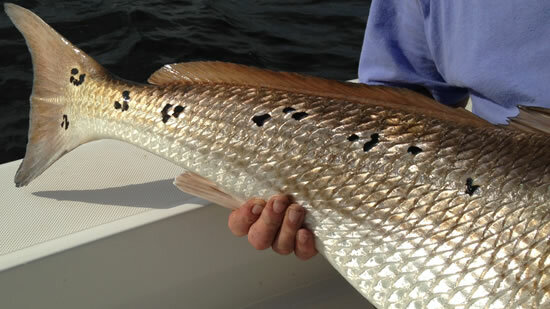 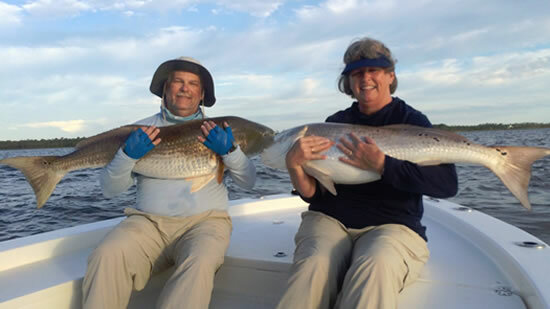 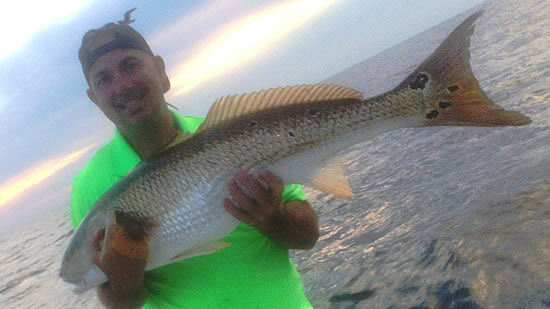 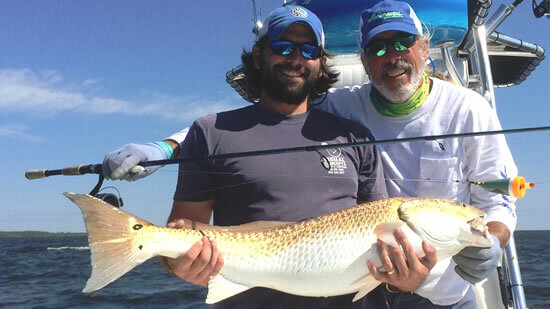 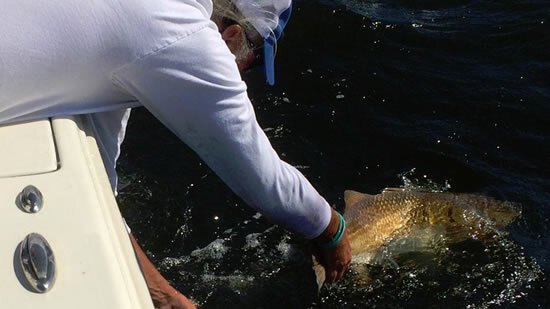 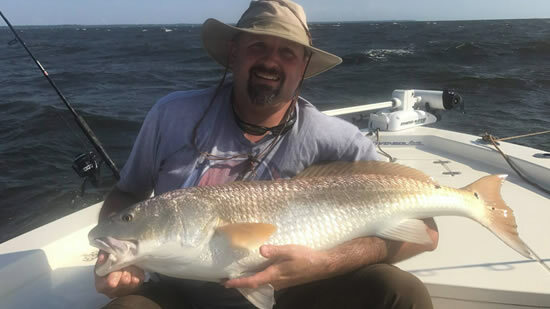 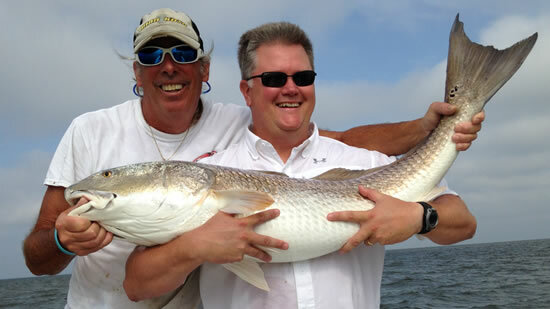 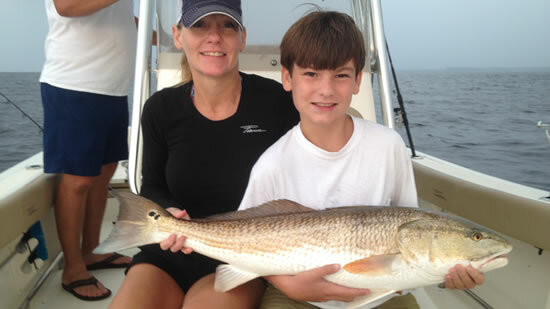 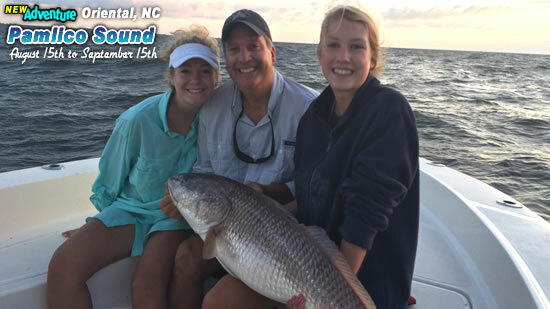 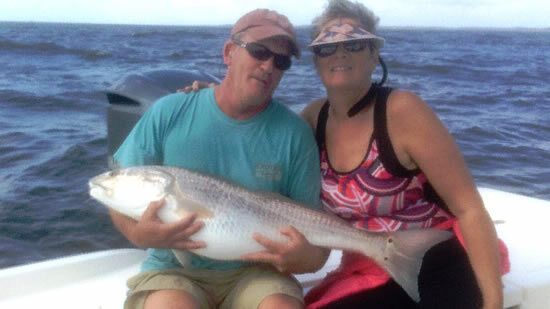 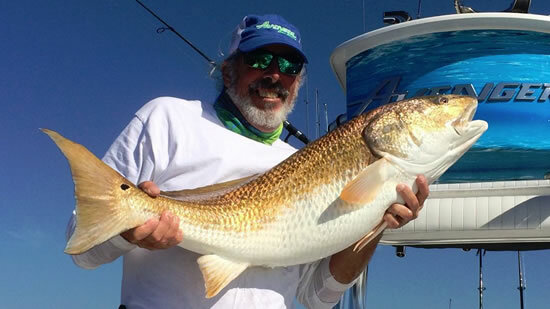 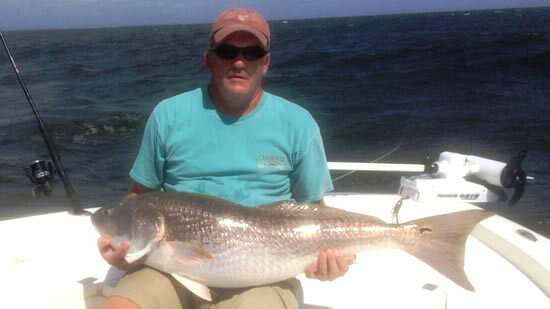 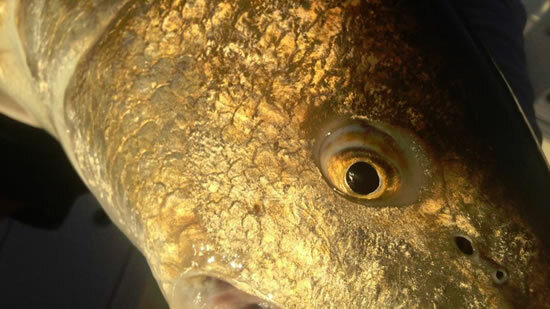 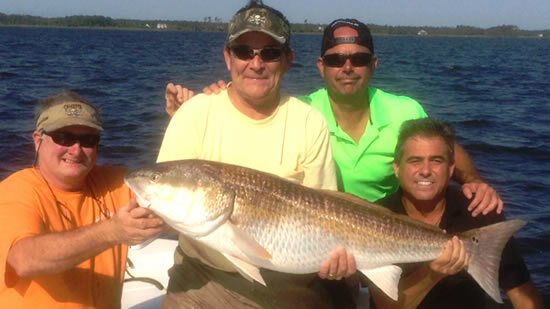 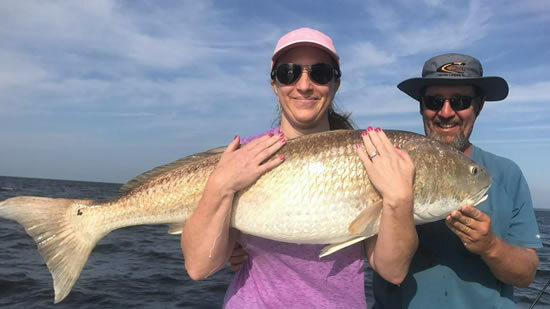 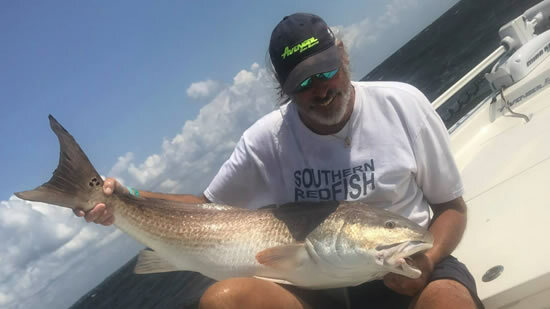 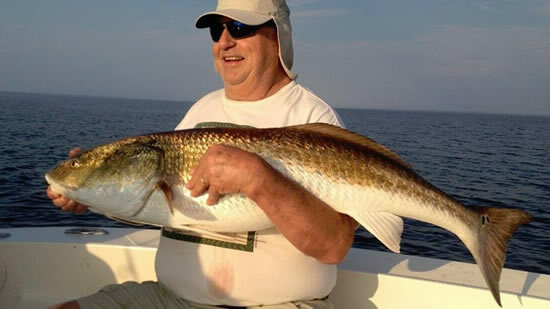 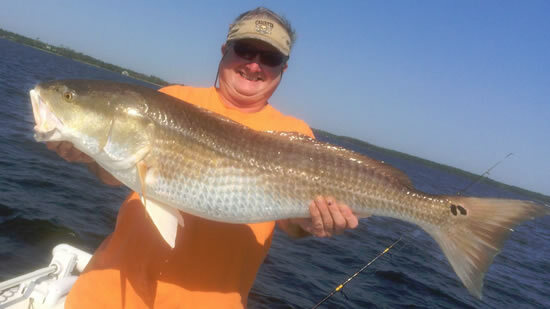 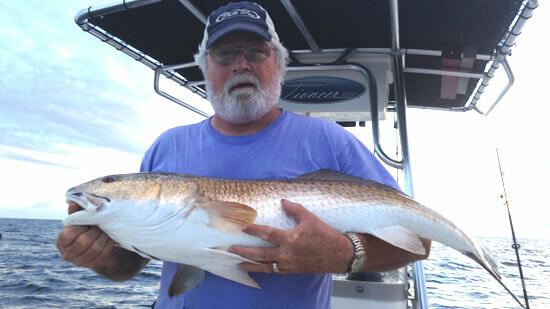 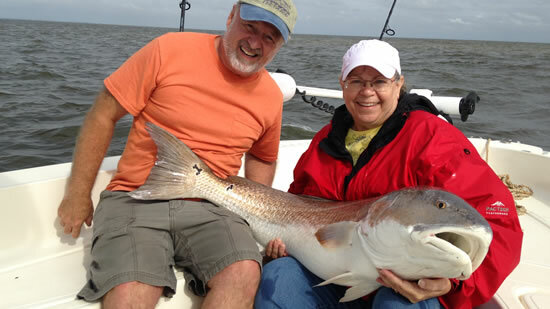 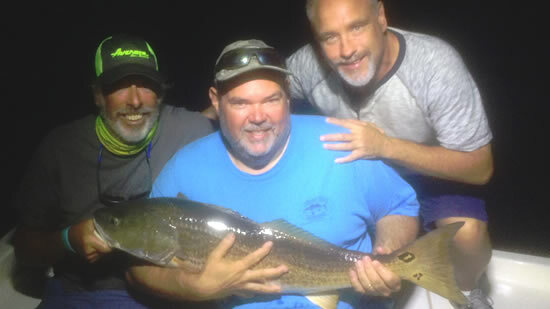 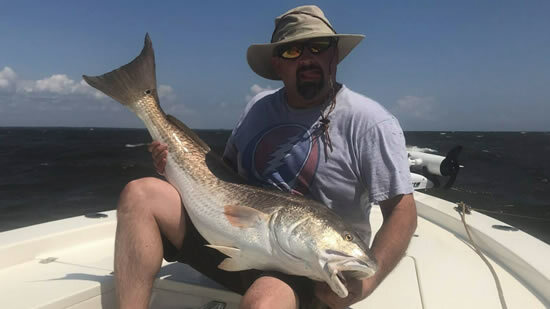 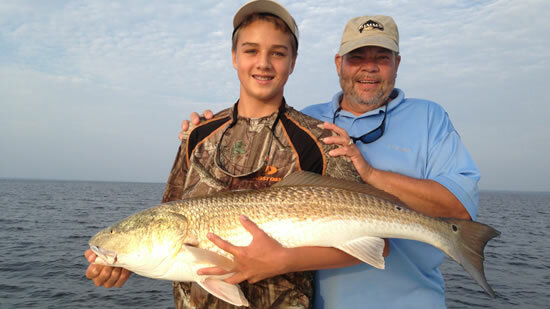 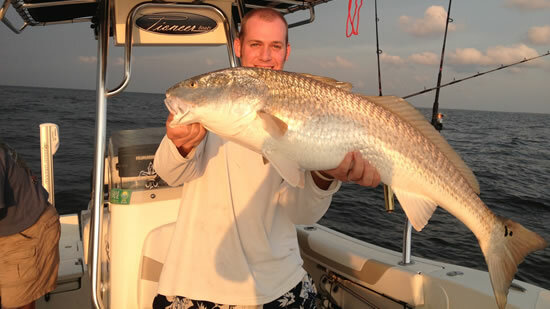 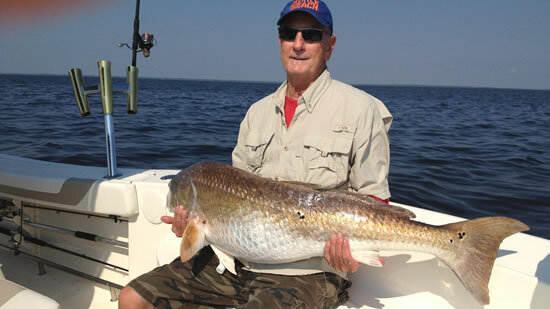 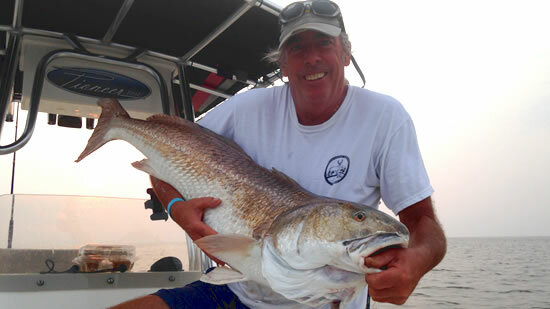 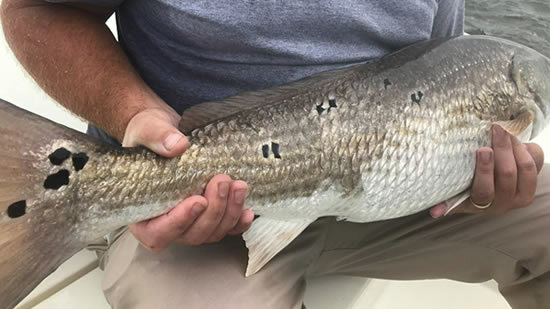 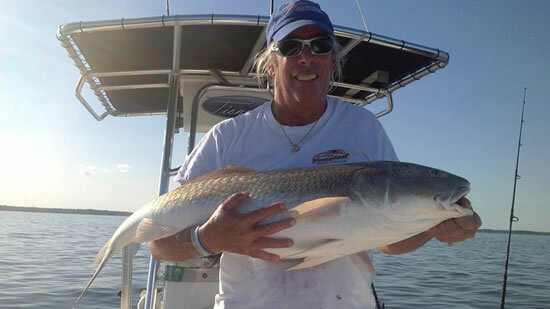 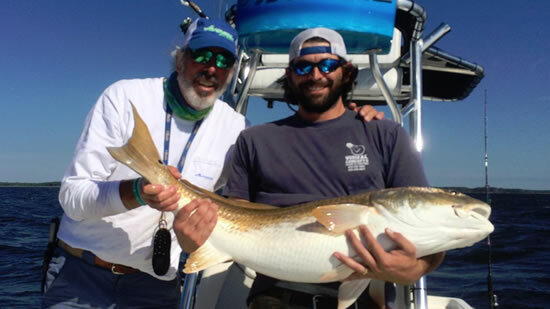 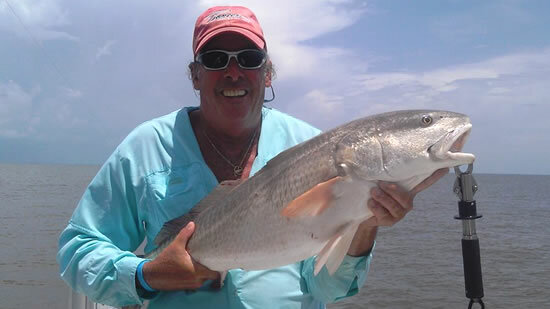 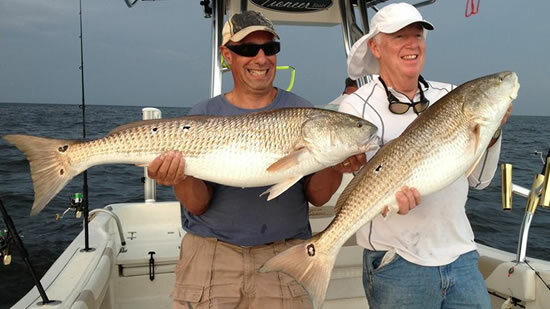 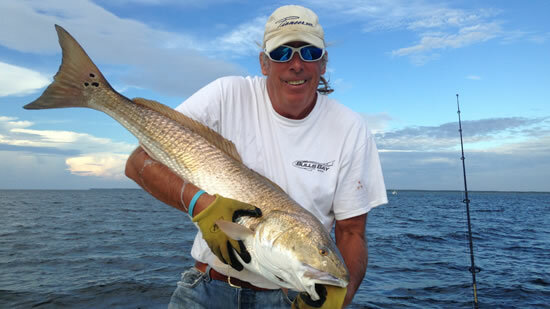 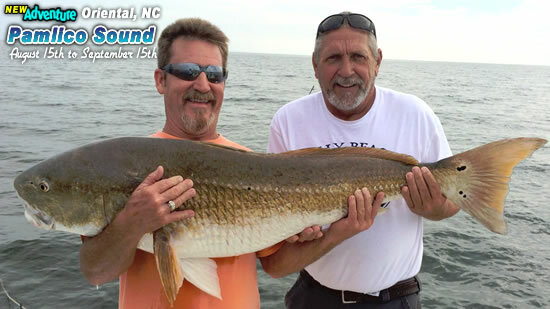 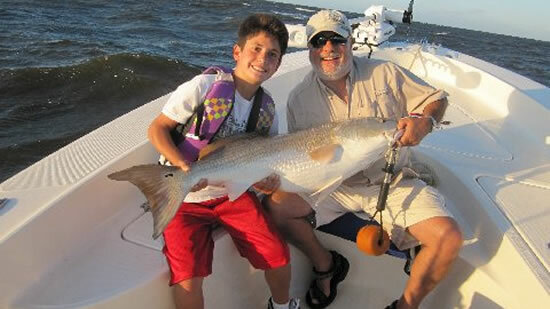 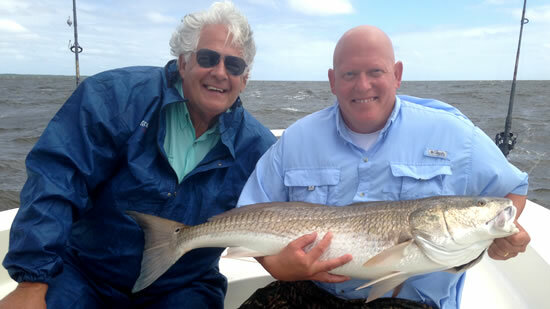 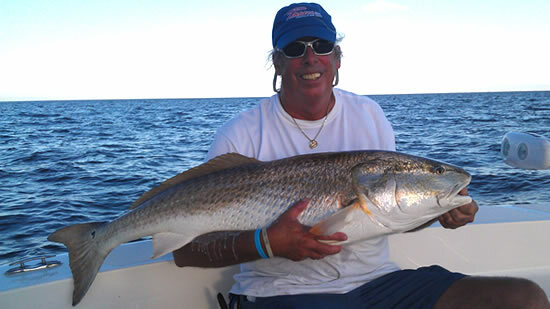 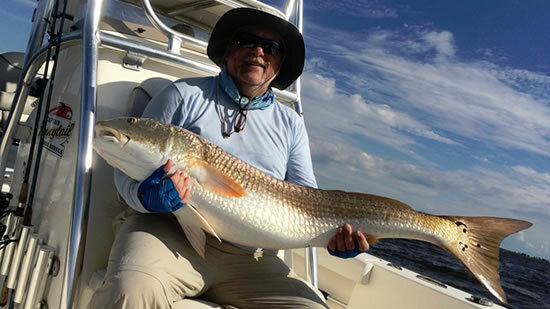 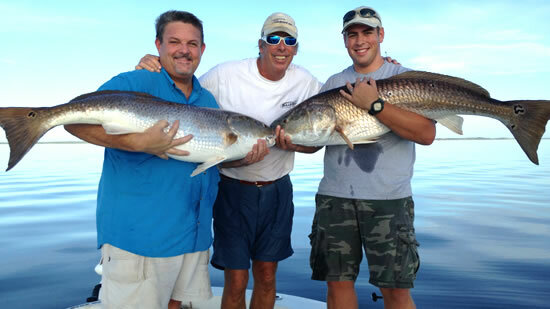 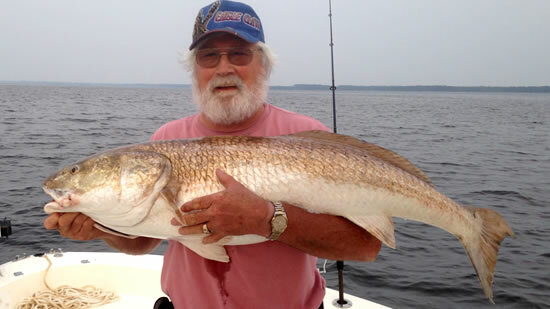 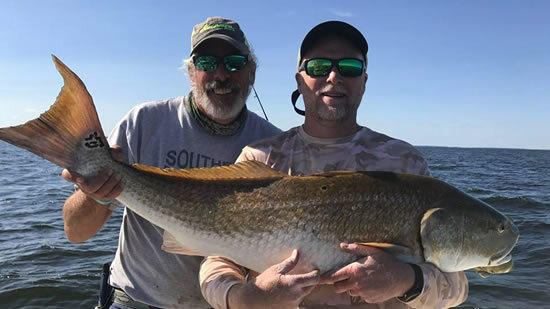 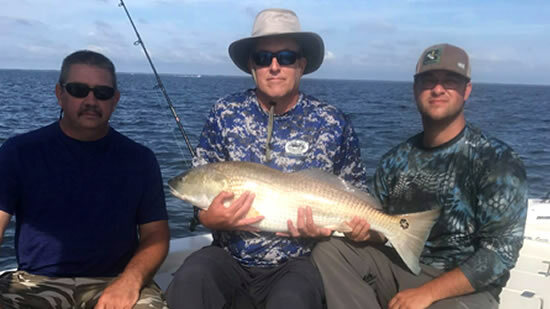 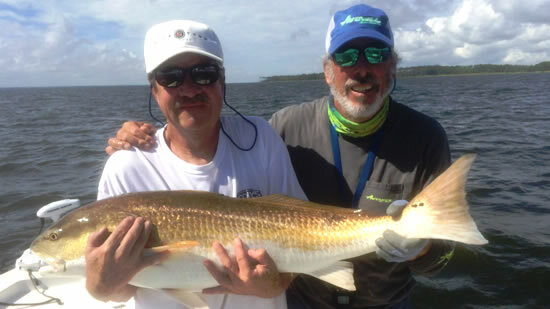 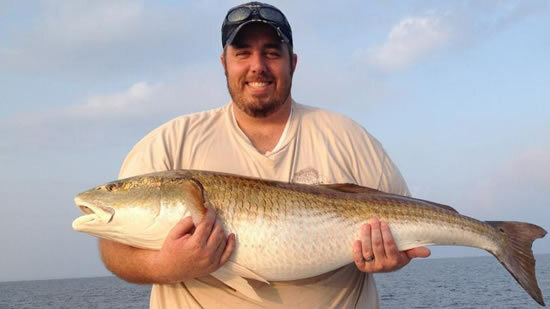 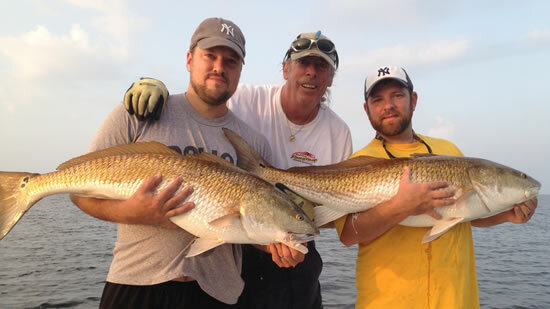 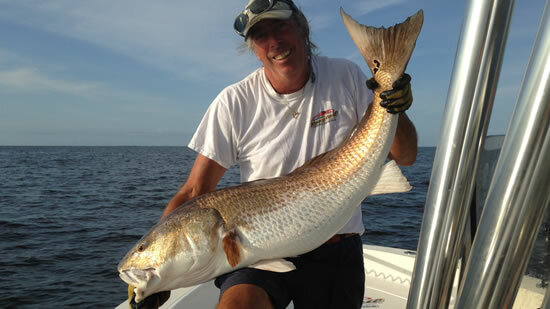 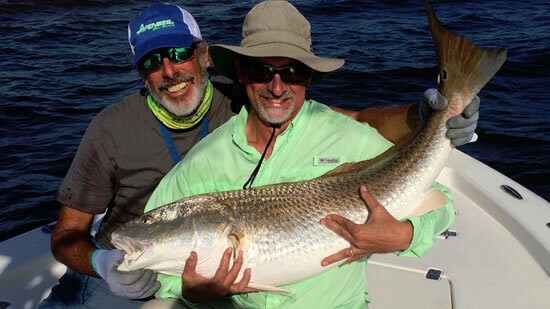 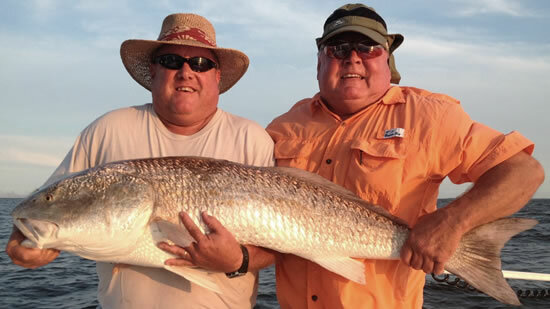 The Pamlico Sound is THE premiere spot for catching Giant Red Drum... sometimes called "Old Drum". 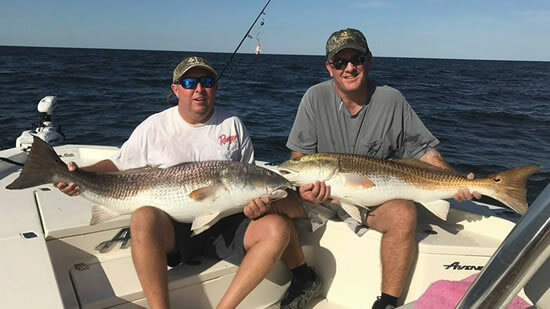 Consistent catches of three to eight fish in what we call a three quarter day were the norm, and we NEVER got shut out so every customer we guided had the opportunity to fight at least one or two of these big monsters. 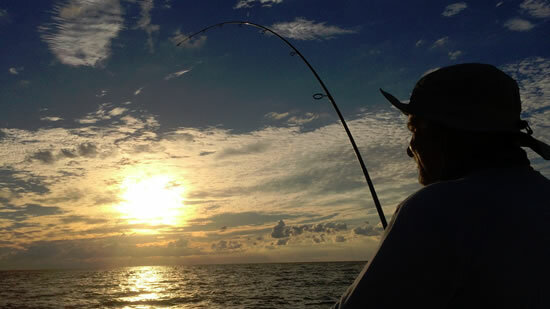 WE fish dawn till 2PM or 2PM till dark. 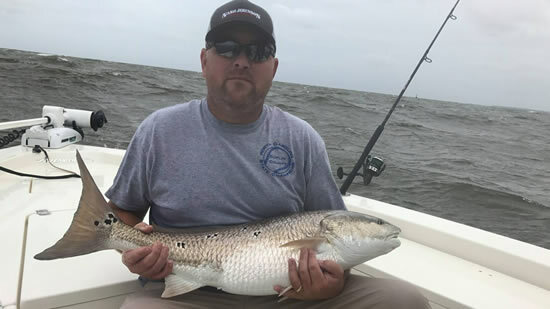 About half way through the season talk of fish being caught on popping corks spread like wildfire through the fishing community. 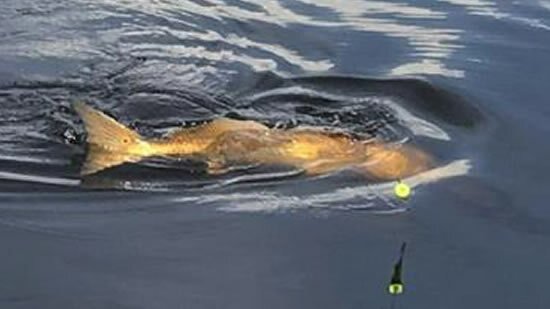 Seemed unbelievable to me that a giant fish like these would bite a lure I had always fished for trout and puppy drum. 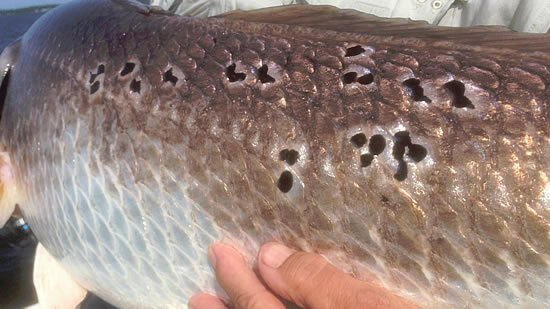 I waited WAY too long to try it, but when I did everything changed.... amazing bites on or near the surface were common. 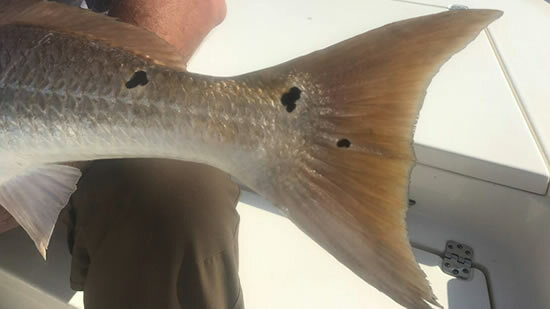 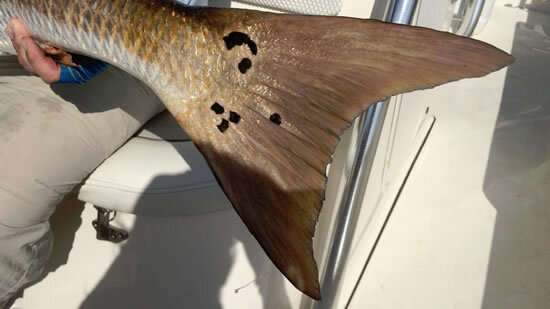 Fish would actually eat the cork, and clients were getting consistent bites, some even while not fishing the cork correctly. 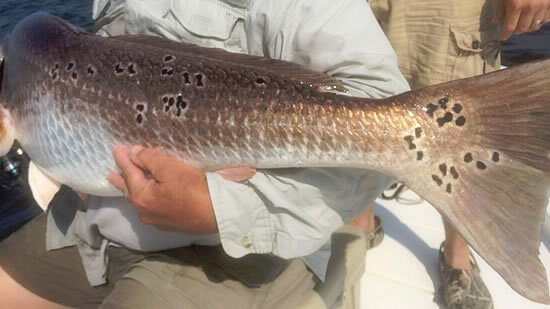 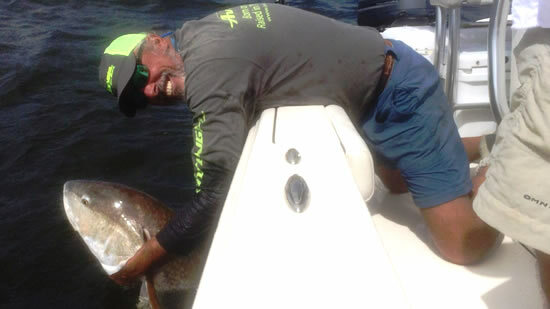 So "Corking" became THE new awesome and exciting way to catch these Old Drum. 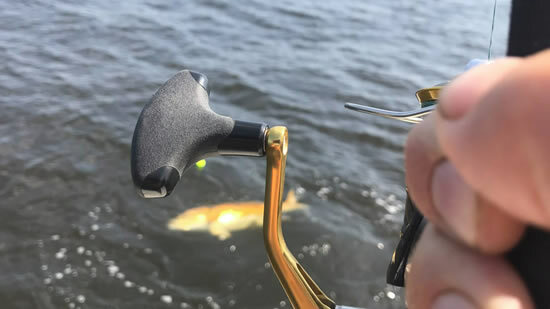 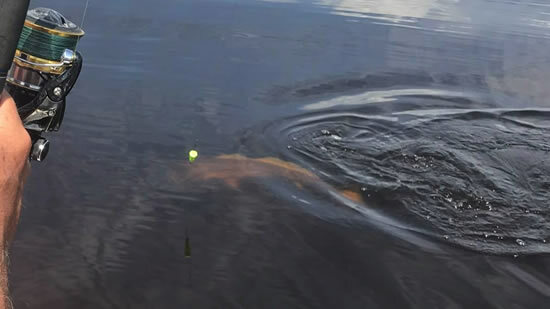 Here's the best news of all.... the Pioneer Bay Sport with Minn Kota I Pilot is the PERFECT boat for this technique. 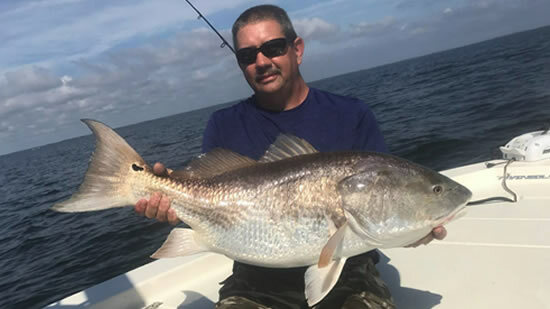 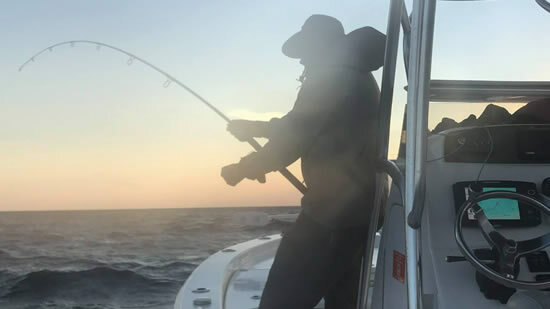 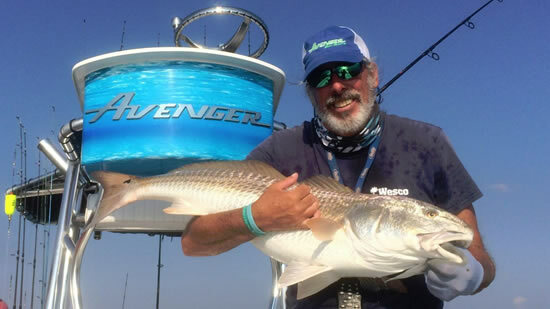 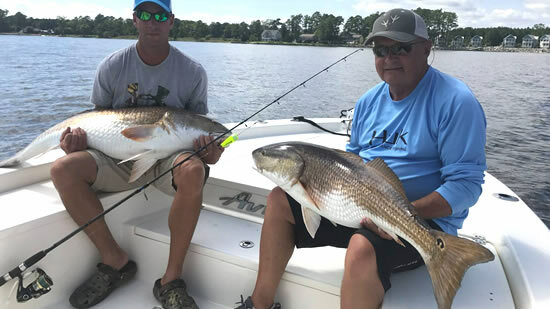 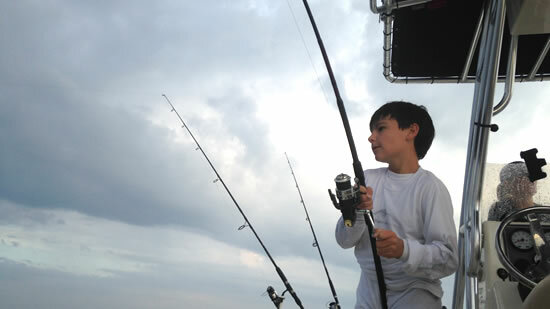 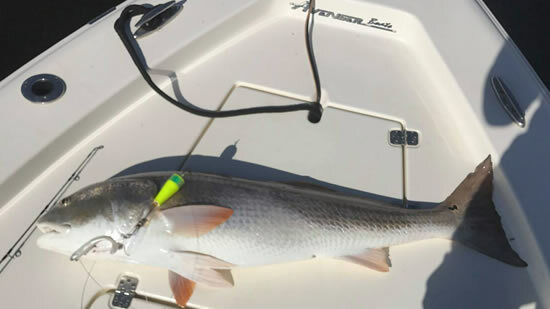 The Pamlico is a HUGE piece of water and most Captains are using big Contenders and Parkers... boats built for these waters but usually not equipped with trolling motors. 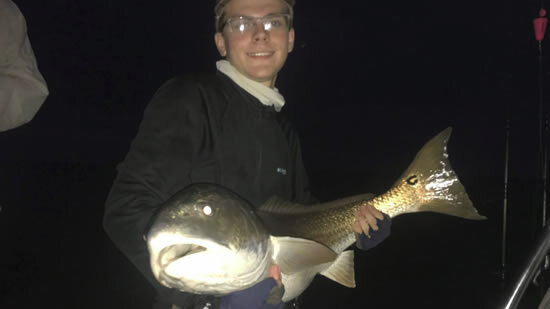 They just don't have the ability we have of following these schools of fish and bait around quietly without spooking the fish. 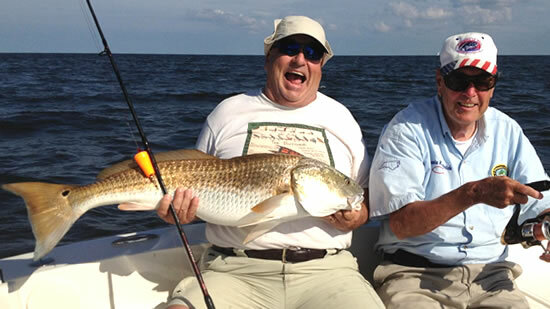 So we can get on these schools and stick with them, giving us more opportunity for multiple hook ups with the corks. 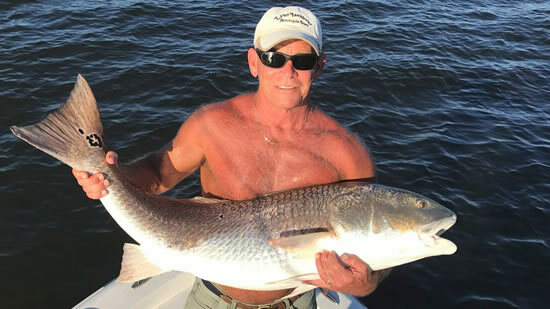 We're going to use this along with fishing both cut... and sometimes live bait... depending on conditions to give you a day you will NEVER forget. 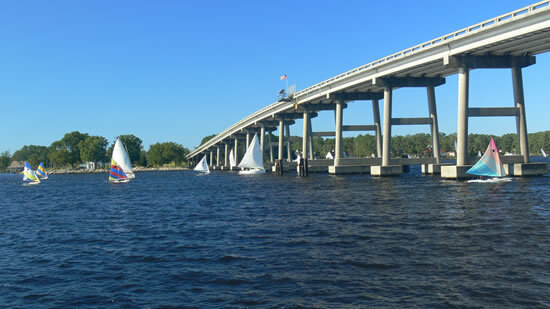 We'll be setting up camp at Paradise Cove Marina and Campground. 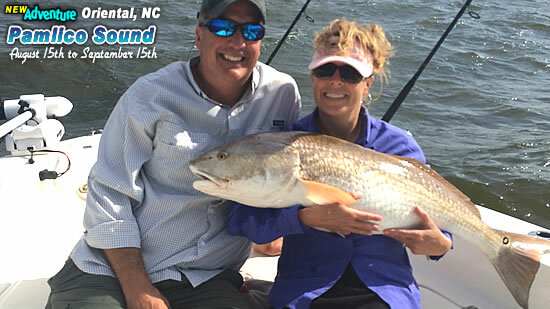 Deb and Scott are some of the nicest people we've ever run in to, and they will be happy to help with all your fishing and camping needs while you're staying at the Pamlico. 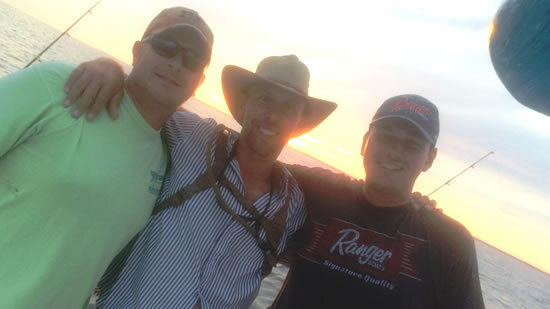 So if you're going to camp, they are the place to be. 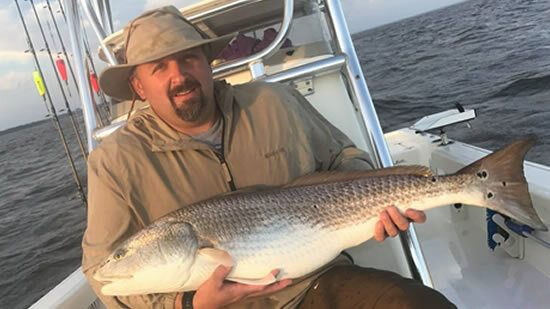 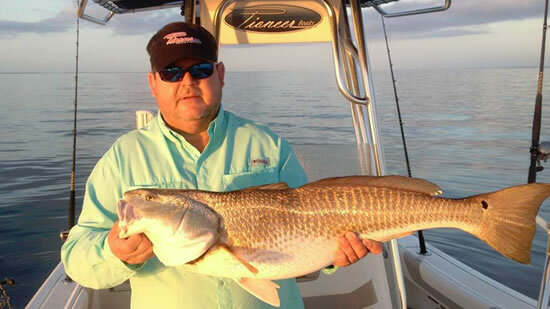 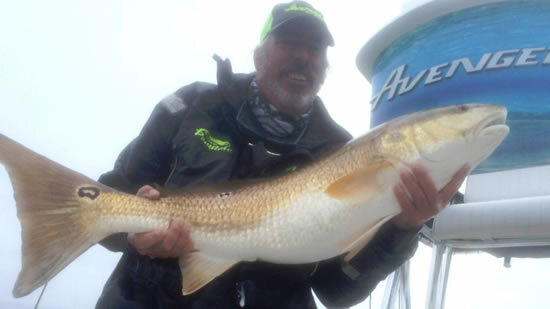 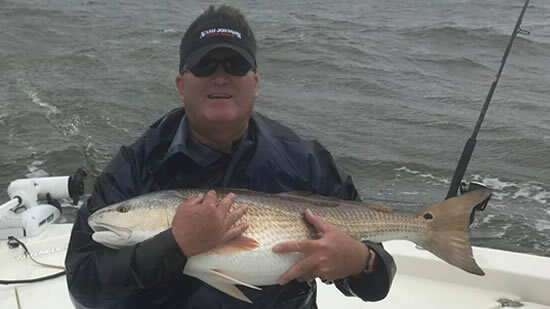 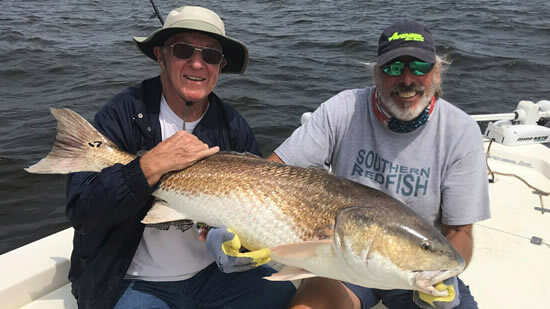 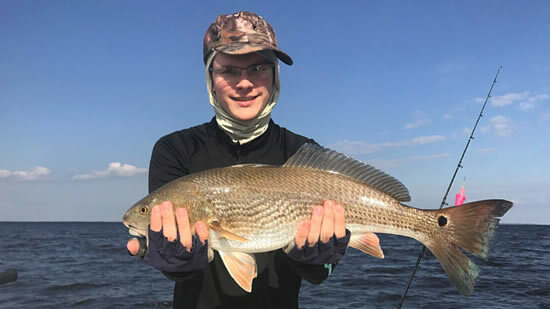 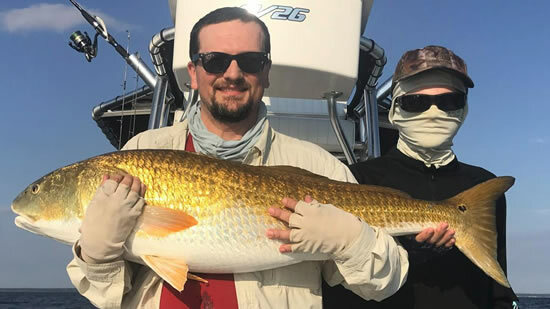 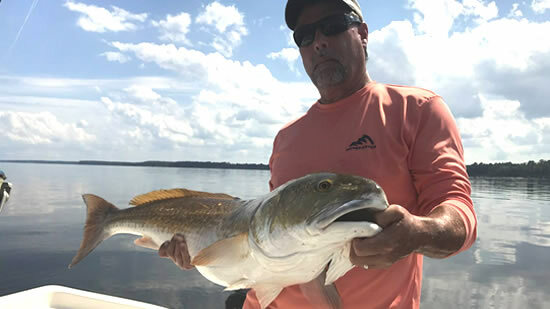 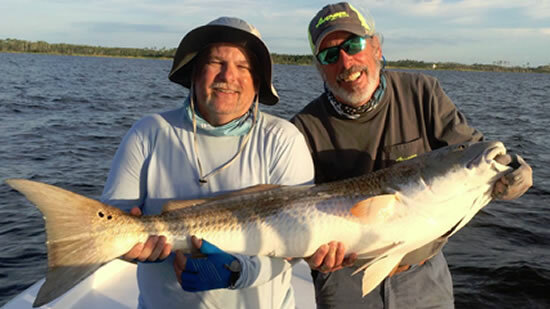 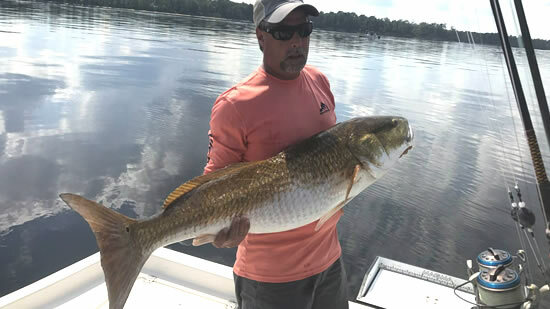 We have other lodging choices listed down the page, so come see us on the Pamlico for the most unbelievable great fishing of the ENTIRE YEAR. 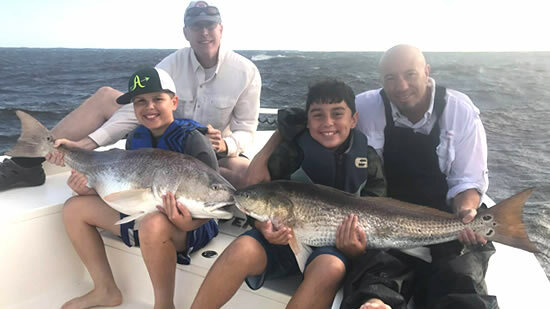 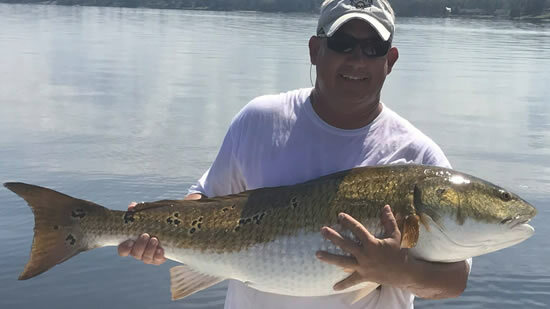 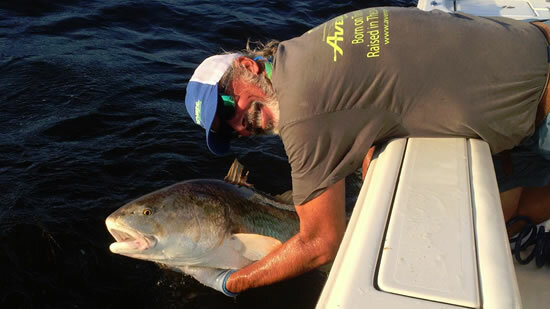 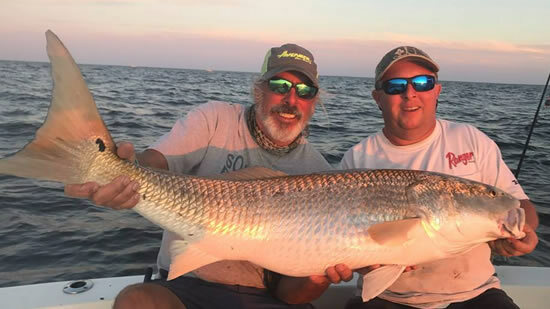 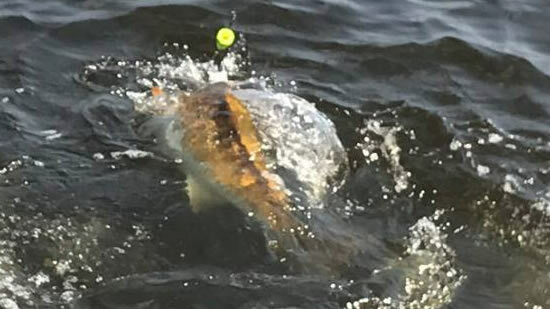 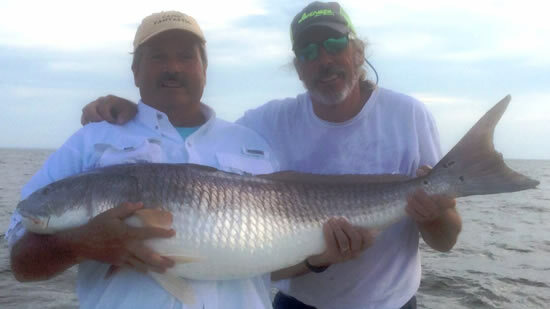 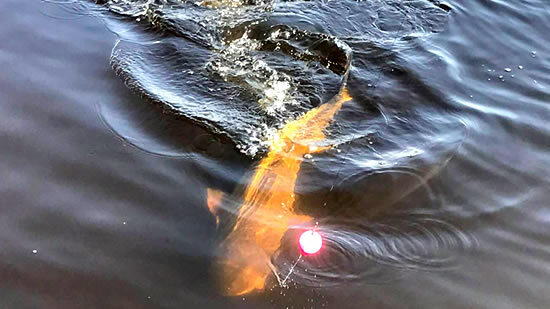 Along with the Drum we'll be in on the tail end of the great Tarpon fishing that the Pamlico is also famous for... so this trip is a MUST for our trophy hunters that fish with us in Georgetown and on the Roanoke. 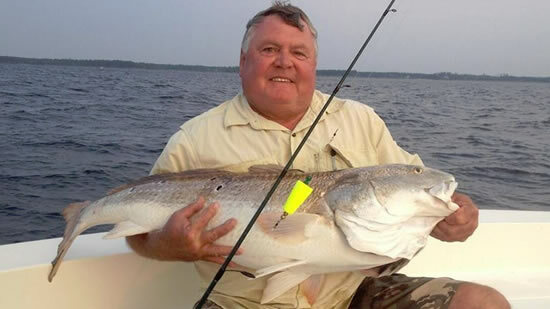 Turn left onto Florence Rd and go about 6.5 miles. 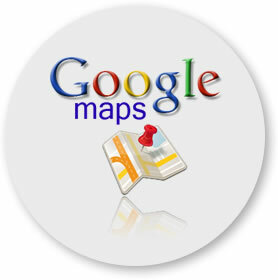 Turn right onto Whortonsville Rd and go about 3 miles. 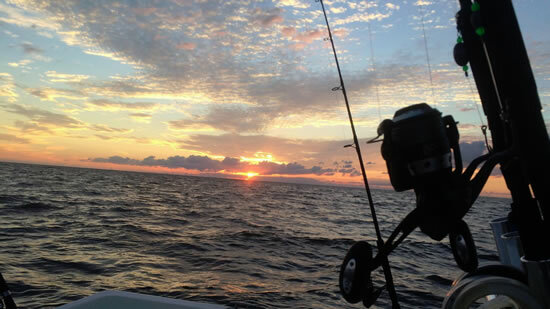 Turn left onto Paradise Shores Rd and go about a mile. 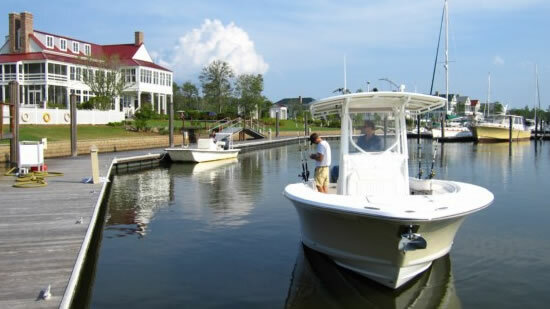 Turn right onto Paradise Cove Marina. 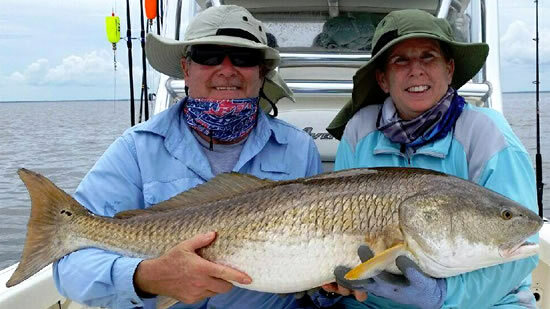 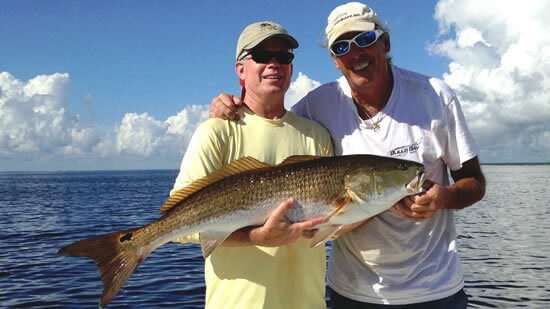 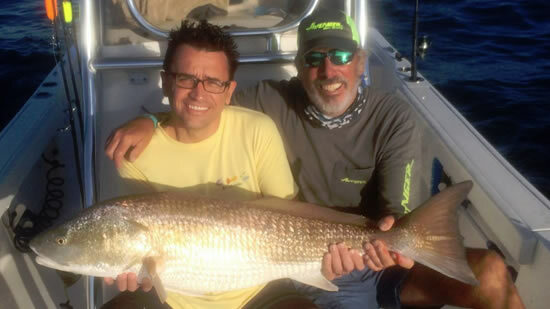 Watch a video about what to expect on this amazing fishing adventure of a lifetime! 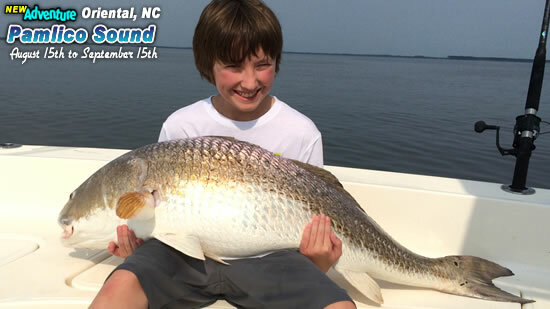 Check the Weather in Oriental, NC. 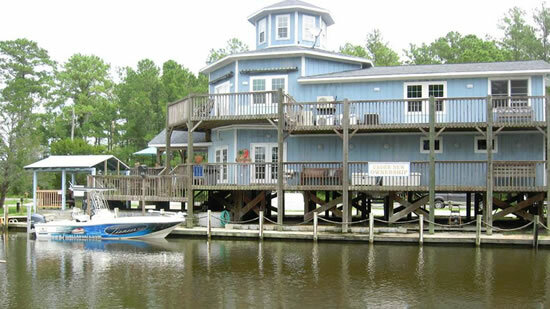 There are so many wonderful places to stay in Oriental, NC. 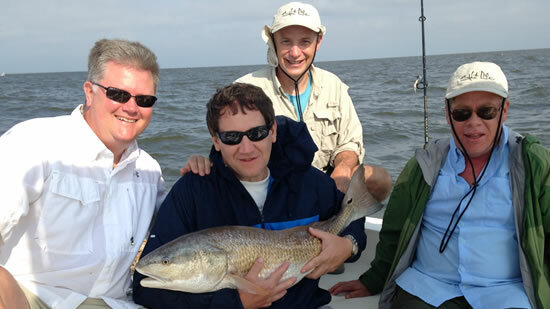 There is something for everyone from hotel suites to cottages, inns to B&Bs, and of course camping. 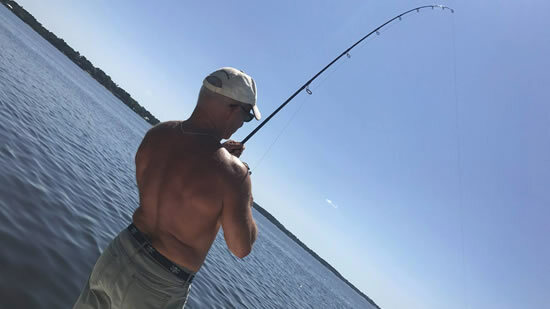 Here's my recommendations across all the categories. 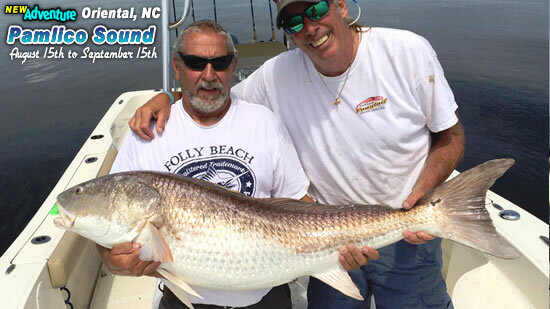 Click on any one of them to visit their websites for rates and more information on these best places to stay in Orient, NC. 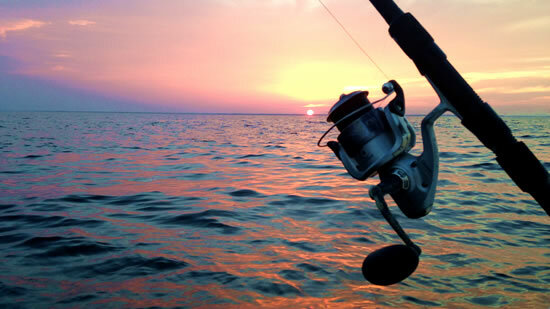 If you like being right in the middle of everything then this is the best spot in town. 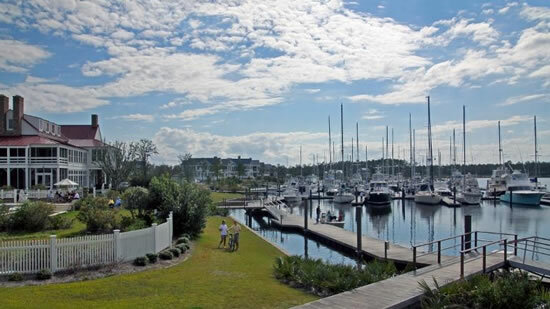 Nestled in the town harbor where all the action is and it's just steps from the Town Dock. 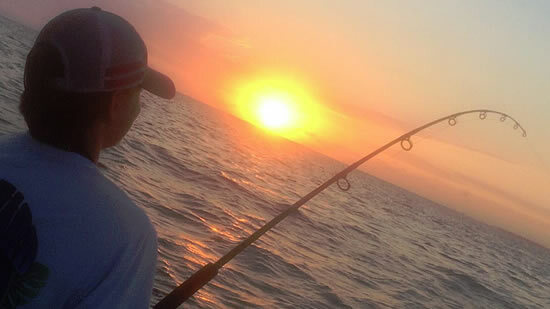 If a hotel suite suits your fancy, stay in the newest of Oriental hotels. 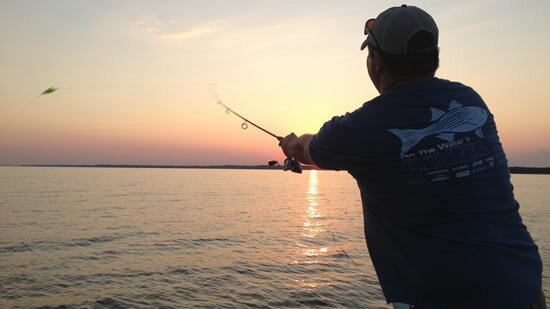 Enjoy your stay with a panoramic view of the Neuse River surrounded by the charm of this quaint fishing village. 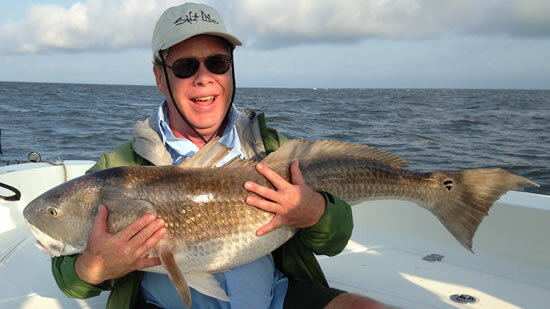 For those who love the comfort of a B&B this is the most popular one in Orient. 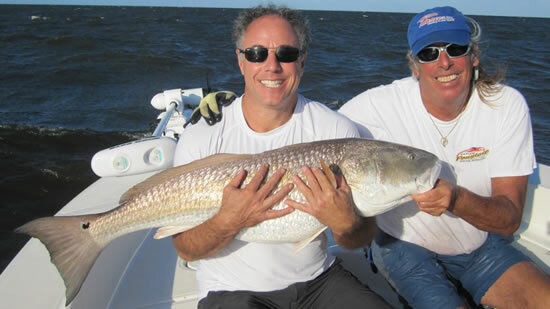 The rooms are large and extremely nice. 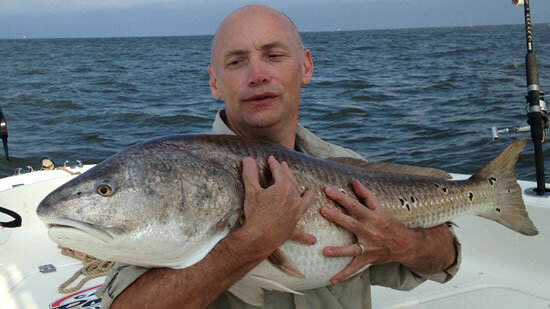 They also provide a most excellent breakfast. 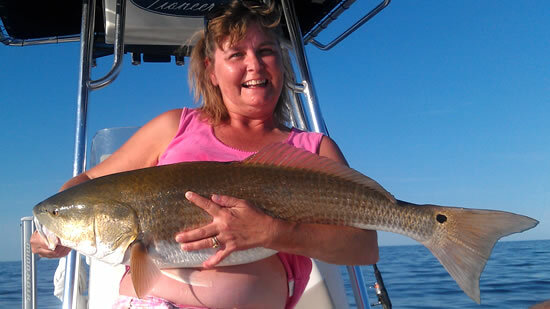 Imagine the coziness of your own cottage while enjoying the firepit and cool bay breezes. 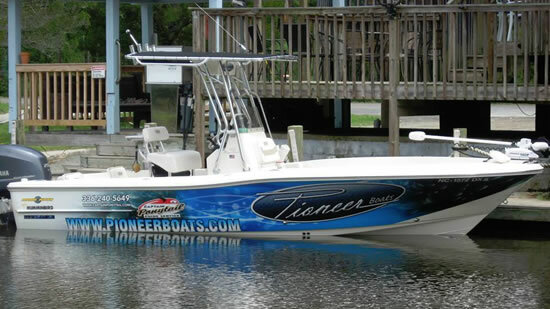 These are the newest and best. 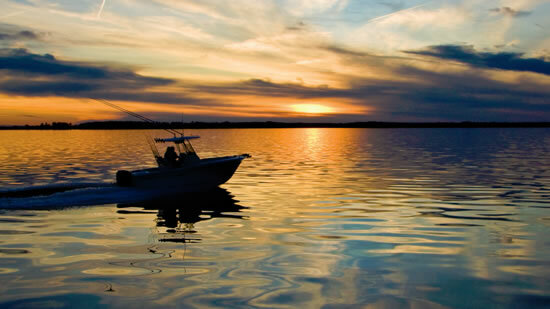 They offer 1, 2 and 3 bedroom cottages with fireplaces, morning kitchens and spa-like bathrooms. 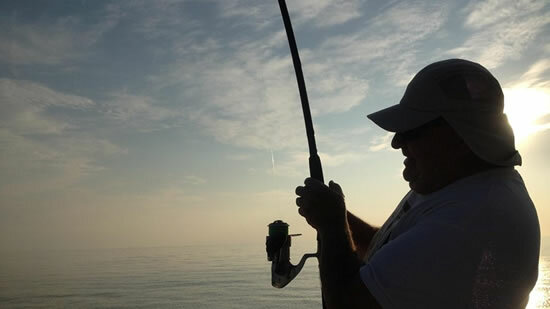 Now for those folks like me who love the outdoors and the freedom of camping this is the best place to make camp in Oriental. 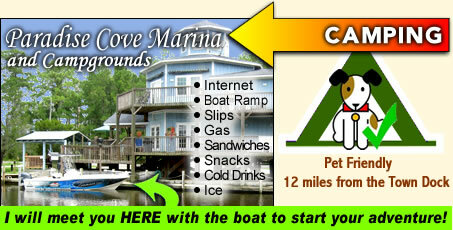 They have everything, a sandwich shop, wifi internet, and it's right on the water too! 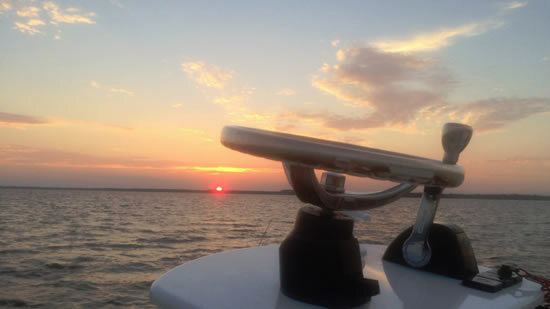 This is where I will meet you with the boat to start your adventure! 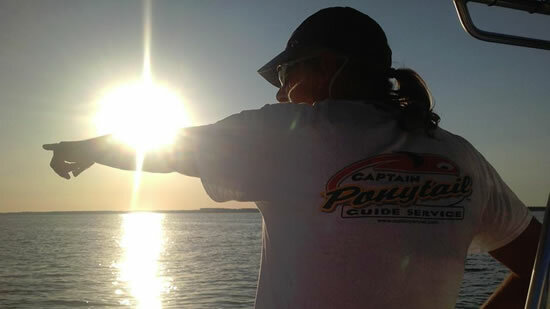 We'll be setting up camp for the month at Paradise Cove Marina and Campground. 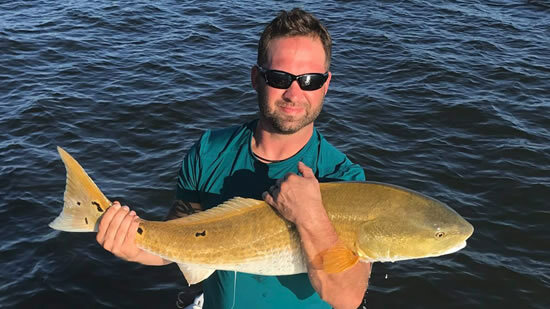 It's only about a fifteen minute boat ride from downtown Oriental and it's going to be awesome to have a marina on site where we camp. 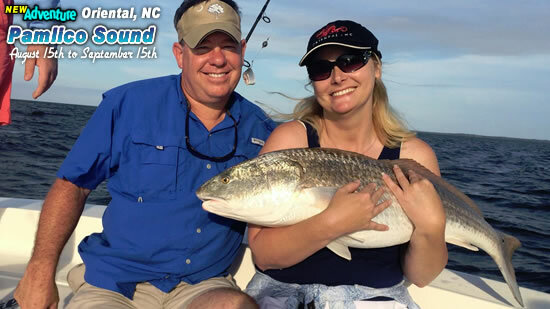 Everything you need... a store and sandwich shop, great place to get something cold to drink, and great campsites will make this a fun month. 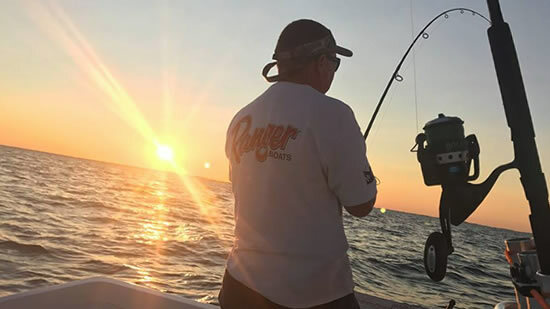 So for those of you who want to enjoy the great outdoors, please bring campers, tents, whatever you've got and let's be neighbors at Paradise Cove. 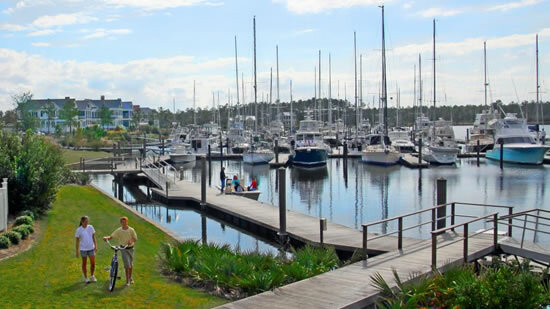 If you’ve spent any time in Oriental, sooner or later you’ve gravitated to the Town Dock. 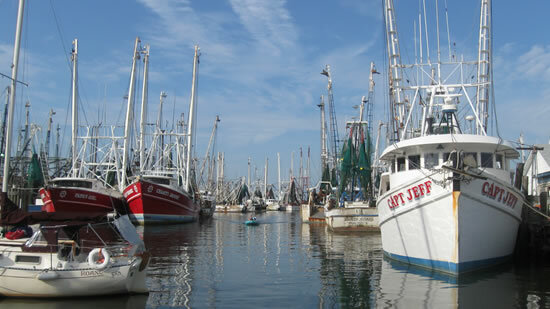 It’s where you can see the trawlers docked at the shrimp plant, where you can see what new boats have come in to town, and more than likely catch up with someone you know. 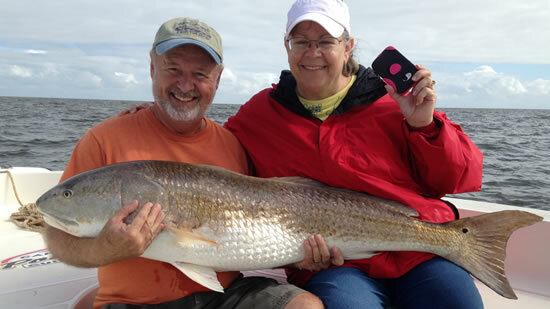 It is with that same spirit that TownDock.net brings the Town Dock to you.